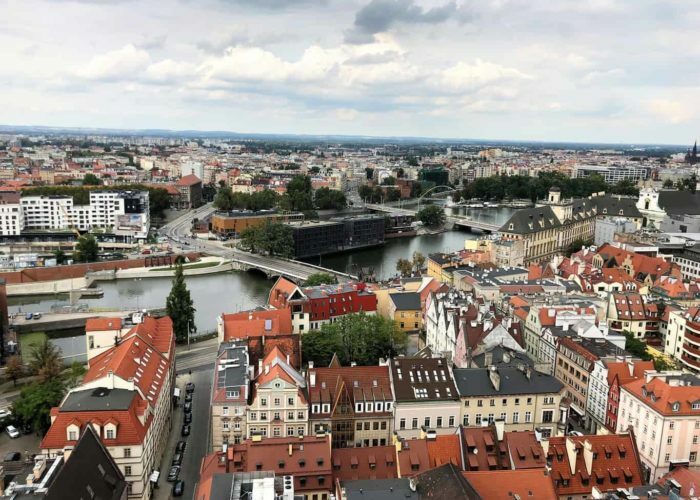 Wrocław is the fourth largest city in Poland (after Warsaw, Kraków, and Łódź), a vibrant student city, attracting many international businesses and thousands of tourists from Poland and abroad. 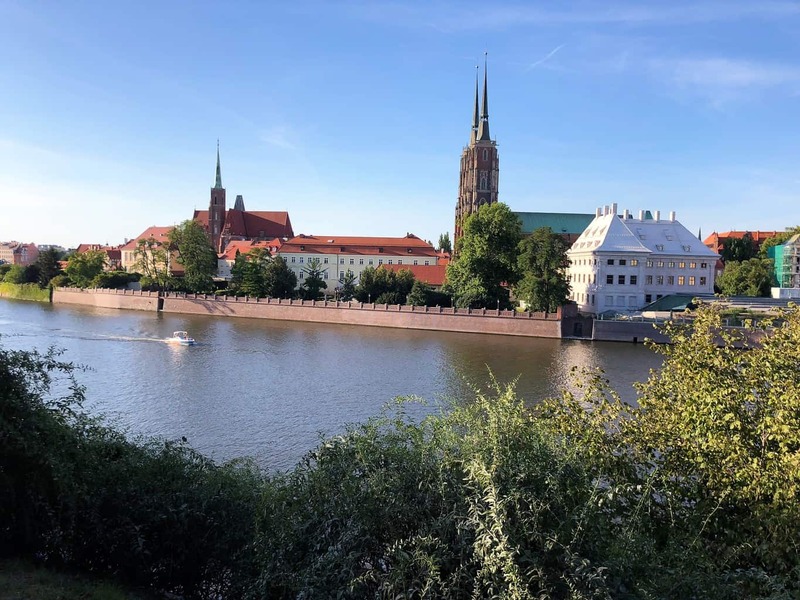 Although the name of the city is difficult to pronounce for foreigners (‘vrotz-wav‘), Wrocław is a city open to tourists and offers many great attractions. 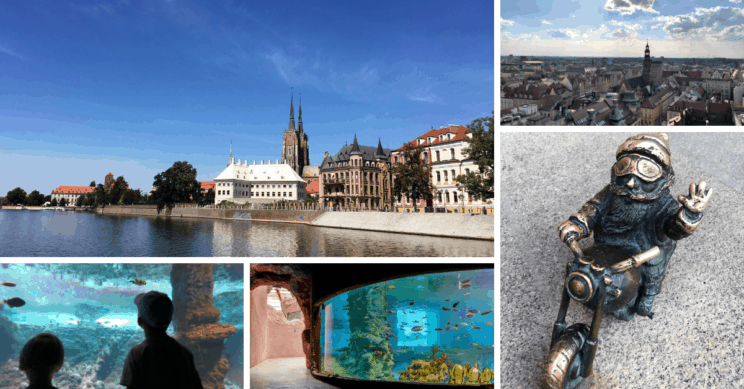 From Gothic architecture to picturesque bridges, comforting gardens located in the heart of the city, the only oceanarium in the world dedicated to Africa’s water wildlife and over 300 small bronze figures of… dwarfs scattered around the city. 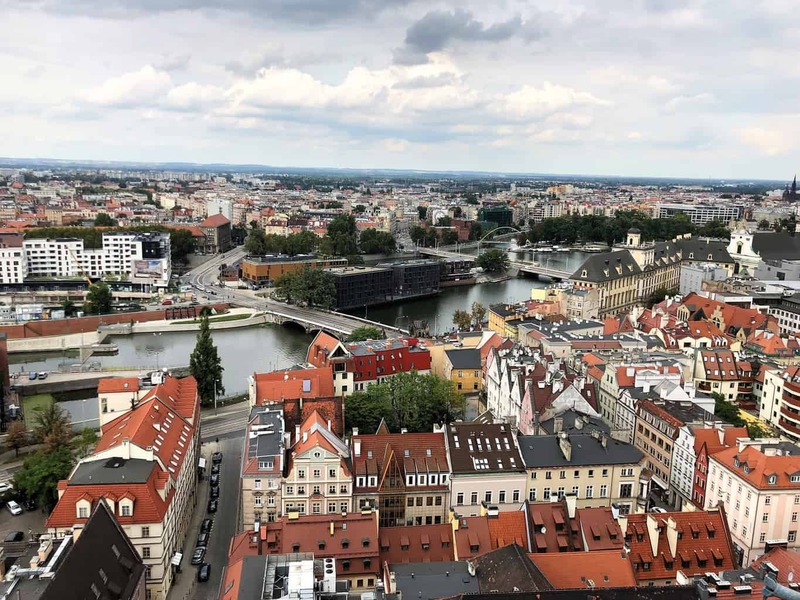 Wrocław offers plenty of things to do on a rainy day, indoor attractions to escape the cold or the heat so you can enjoy the city at any time of the year. 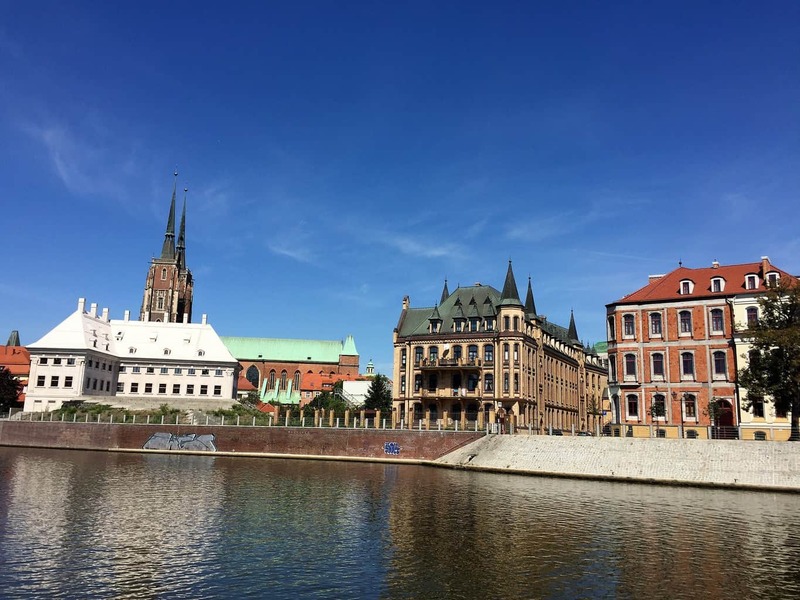 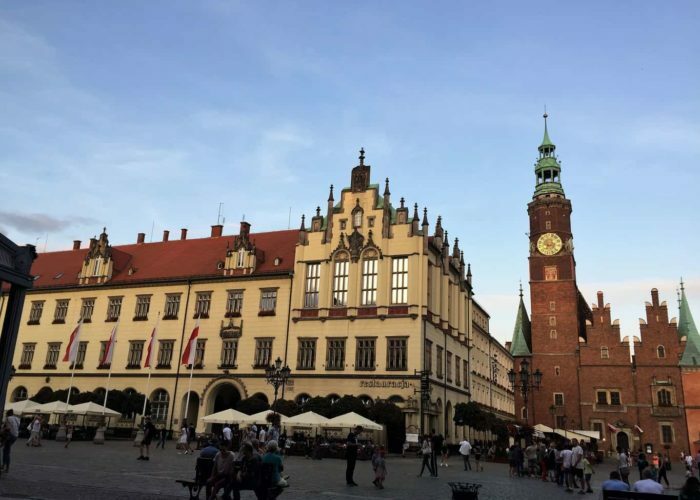 You should definitely consider Wrocław when you are planning your next weekend getaway in Poland and include it in your list of places to visit in Poland. 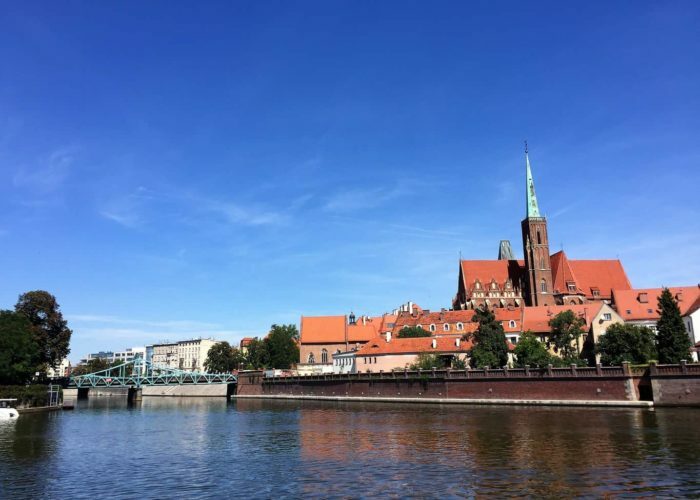 The main railway station in Wrocław is called in Polish Dworzec Główny/Wrocław Główny. 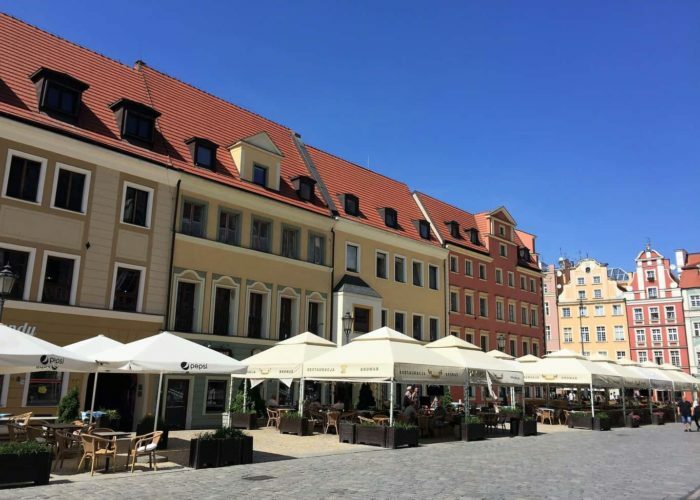 It’s located about 1,6 km from the Market Square in the neo-Gothic style building renovated in 2012. 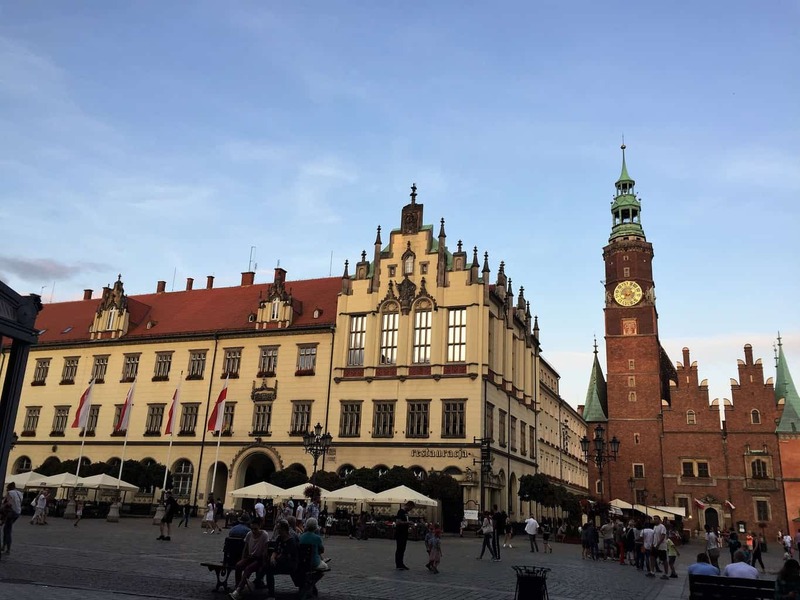 The most popular domestic connections include Warsaw (the shortest travel time: 3 hrs 37 mins), Krakow (3 hrs 14 mins), Poznań (2 hrs 13 mins), Gdańsk (5 hrs 26 mins), Gdynia (5 hrs 52 mins), Łódź Kaliska (5 hrs 14 mins, 4 hrs 6 mins including 2 changes or 4 hrs 53 mins including 1 change), Łódź Widzew (3 hrs 36 mins including 1 change), Katowice (2 hrs 19 mins), Lublin (6 hrs 52 mins including 1 change). 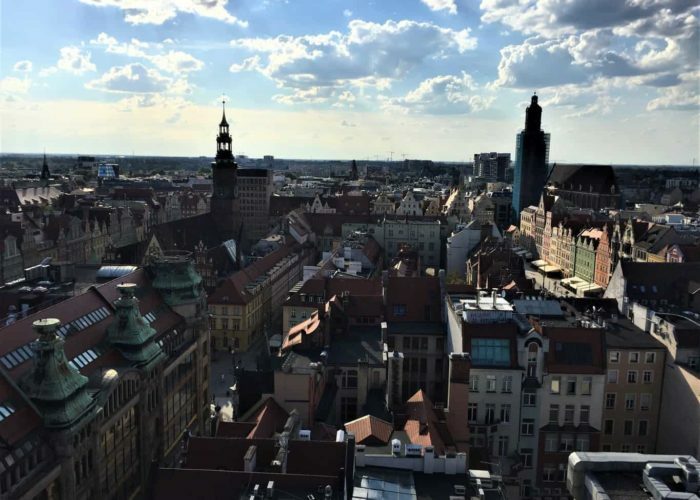 Wrocław is well connected with other cities in Poland. 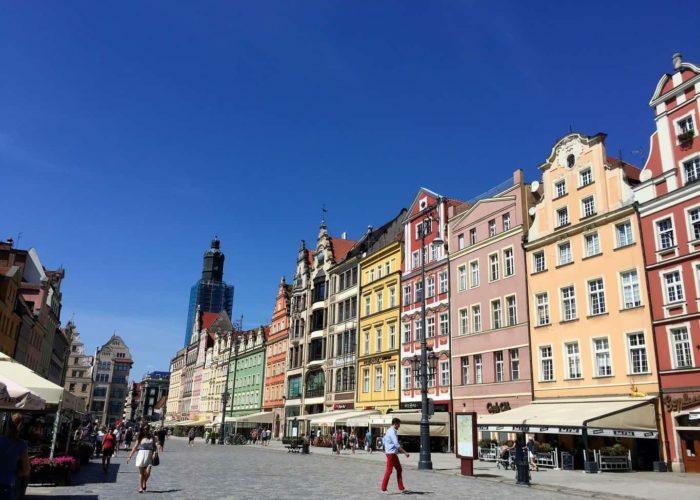 Approximate (depending on traffic) travel time from: Warsaw 3 hrs 30 mins, Krakow 3 hrs, Poznań 2 hrs .30 mins, Gdańsk 5 hrs, Gdynia 5 hrs 10 mins, Łódź 2 hrs 15 mins, Katowice 2 hrs 10 mins, Lublin 5 hrs 30 mins. 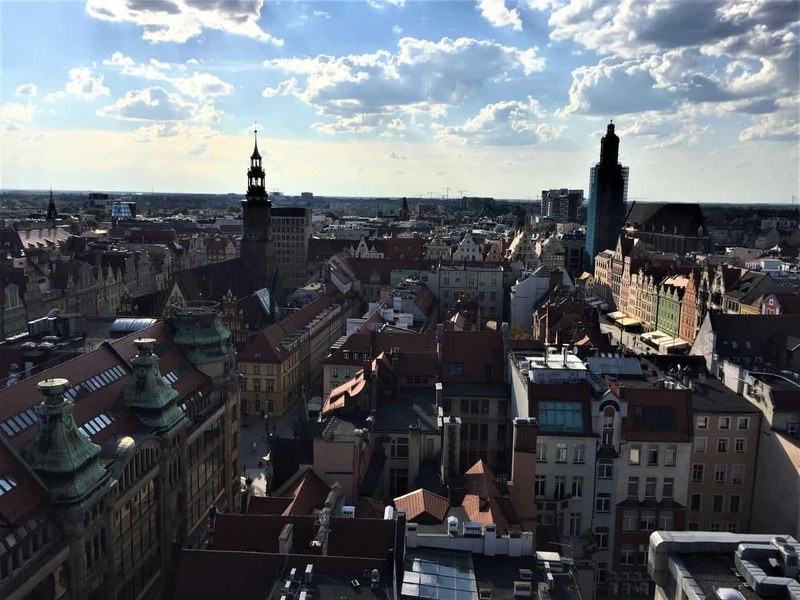 Wrocław has its own international airport (Wrocław Nicolaus Copernicus Airport) located about 12 km from the Market Square/city center. 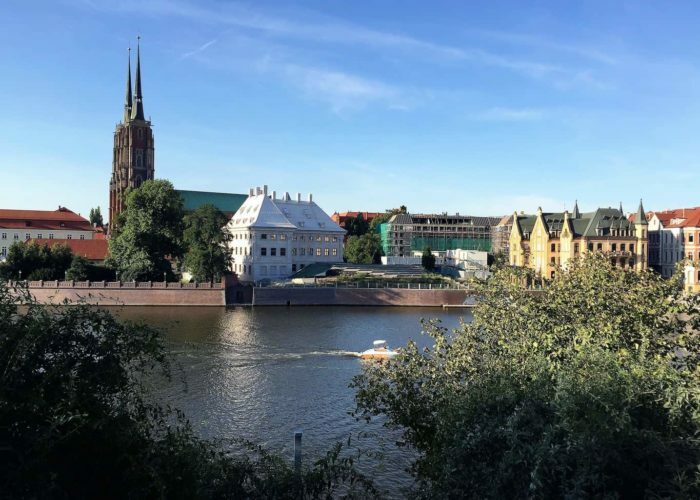 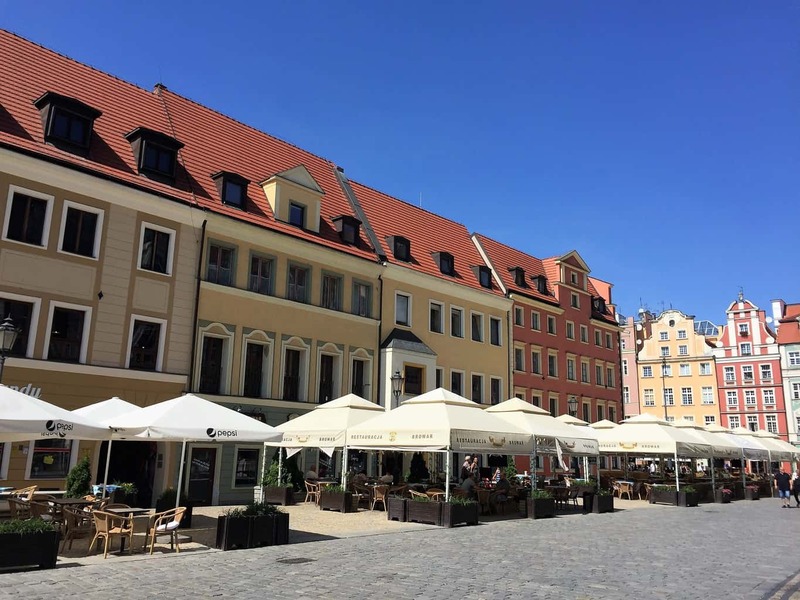 How to get from Wrocław airport to the city center? 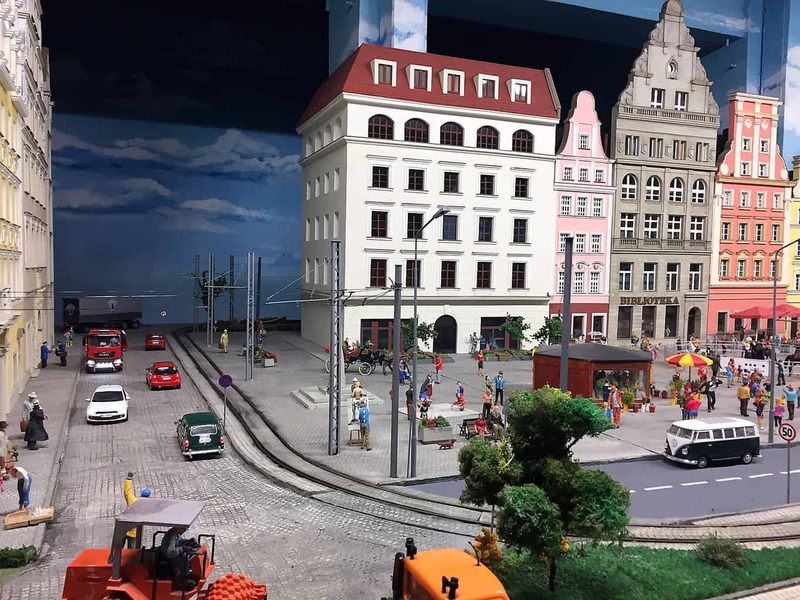 Shuttle buses (‘Wro Airport Express’) cost 10 PLN (approx. 2,5 €), you buy tickets directly from a driver (cash or card). 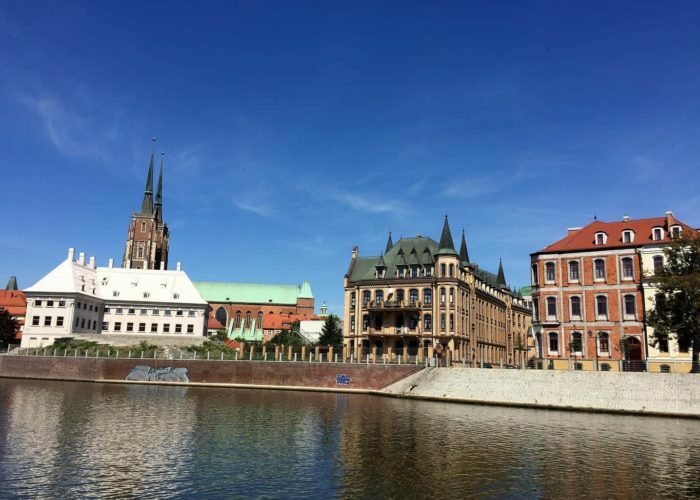 Shuttle buses run every 50 minutes and it takes about 30 minutes to get to Wrocław with only two stops: Plac Dominikański (Dominikański Square) and Dworzec Wrocław (main railway station, Piłsudskiego 105 Street). 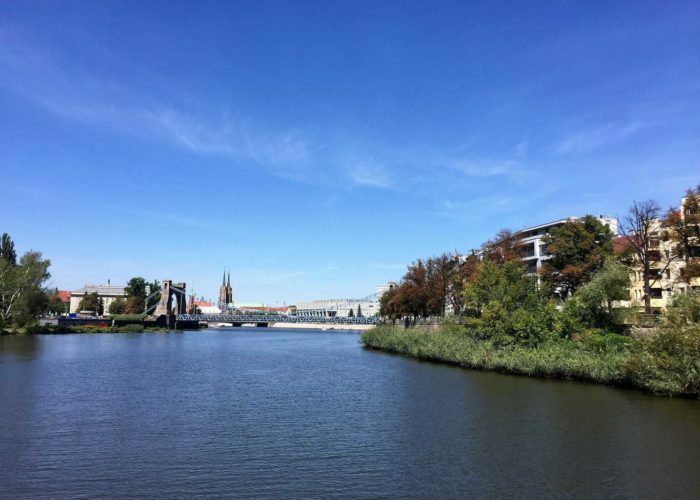 Another option is to take a municipal bus no. 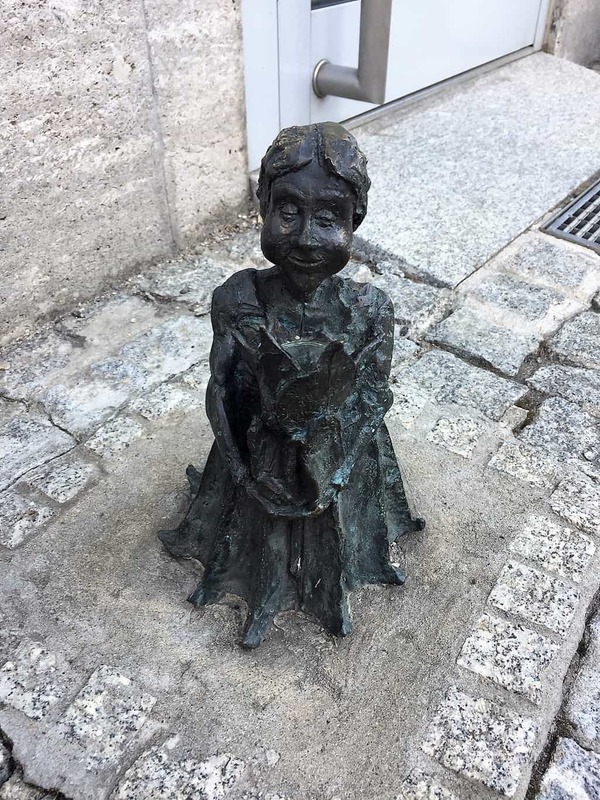 106. 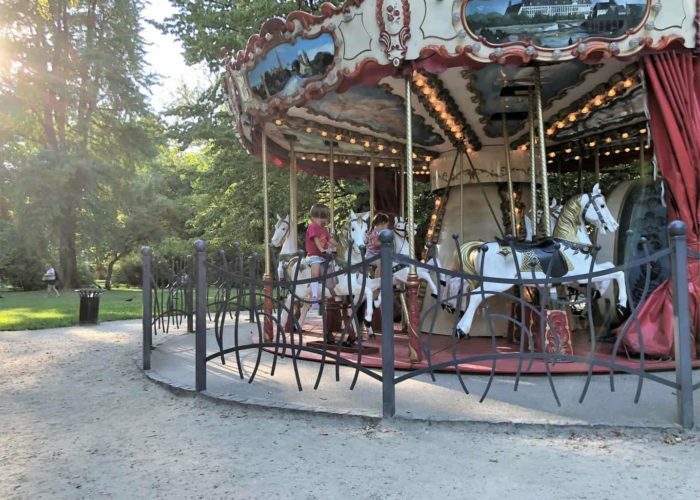 You can buy tickets (3,40 PLN) from the machine (with English interface, cash or card) next to the stop. 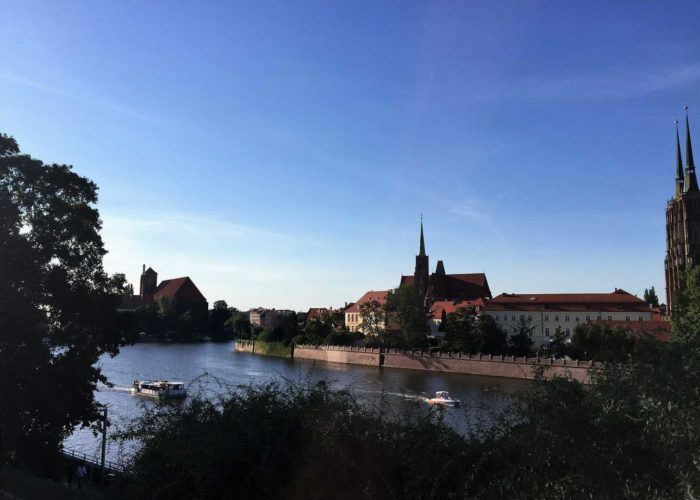 It runs every 15 minutes but it takes longer to get to Wrocław (about 40-50 minutes) since the bus has many stops (bus no. 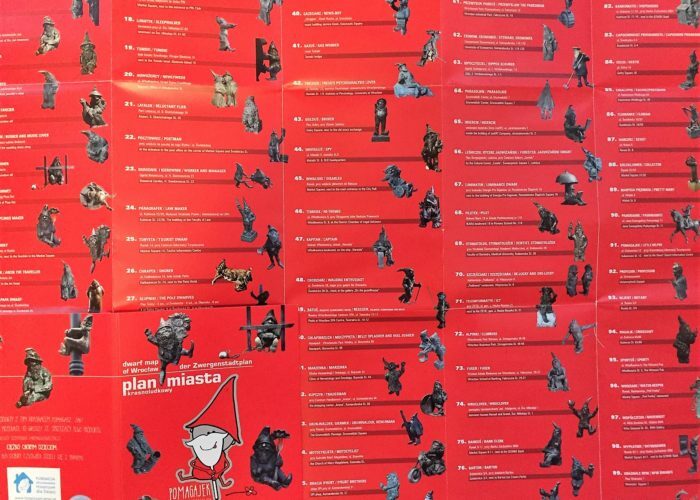 106’s timetable and list of stops). 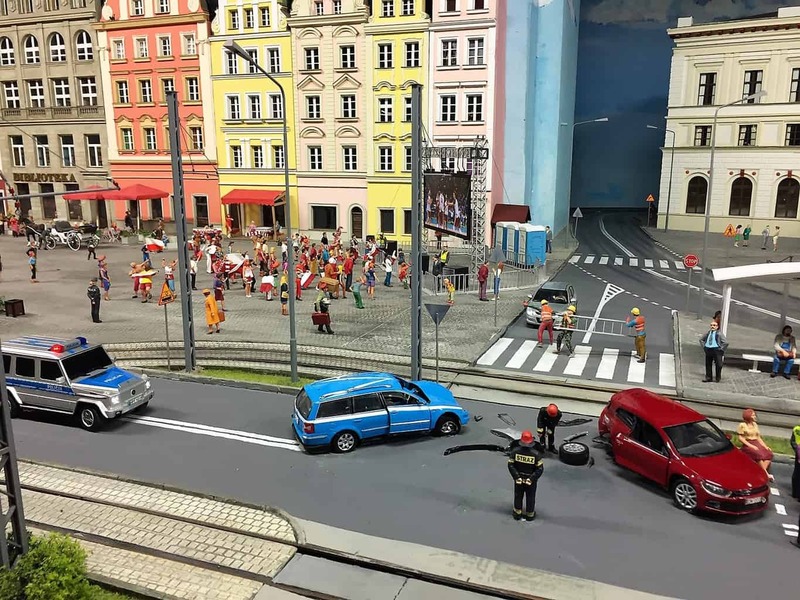 The final stop is in front of the railway station as well (Dworcowa stop). 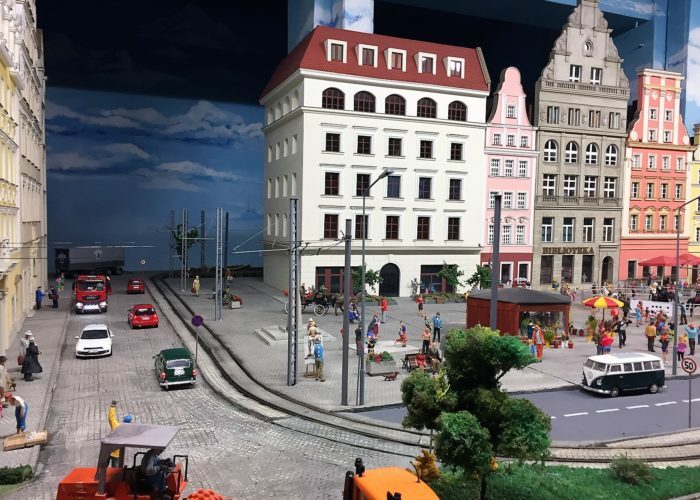 You can also take a taxi waiting outside the terminal, it will take about 20 minutes to the city center and costs about 50 PLN (depending on your hotel location, traffic etc.). 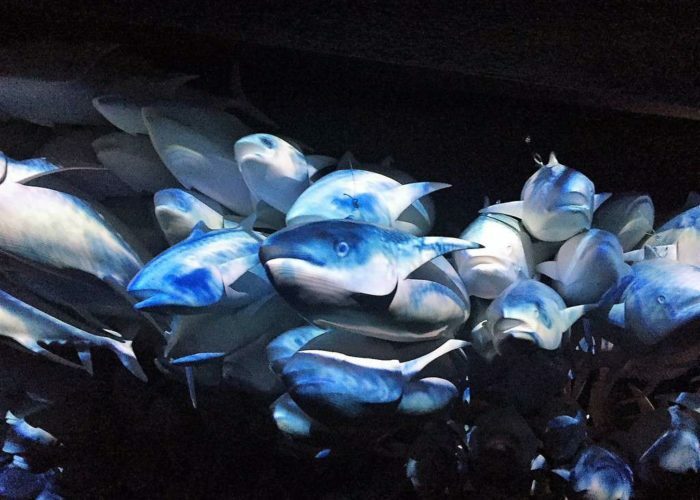 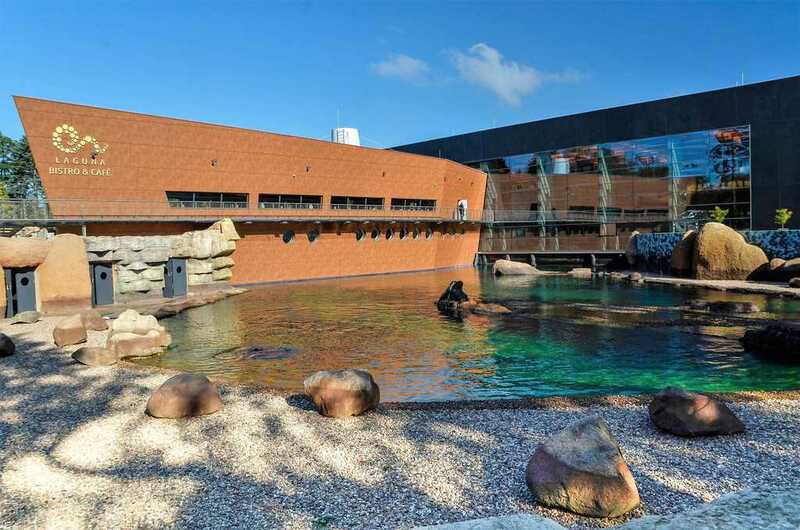 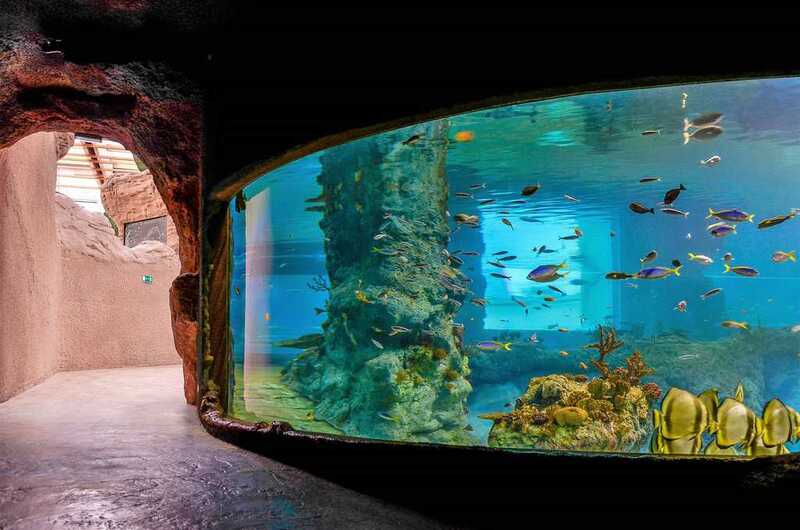 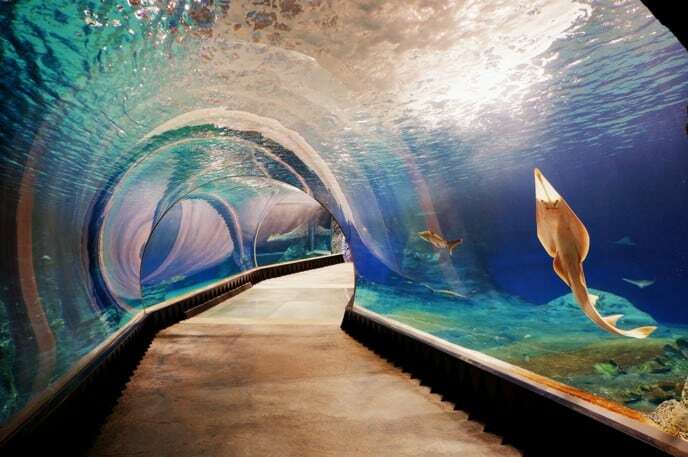 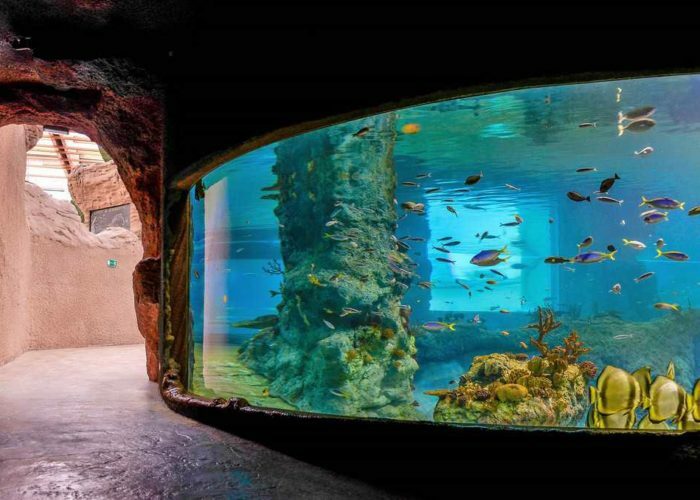 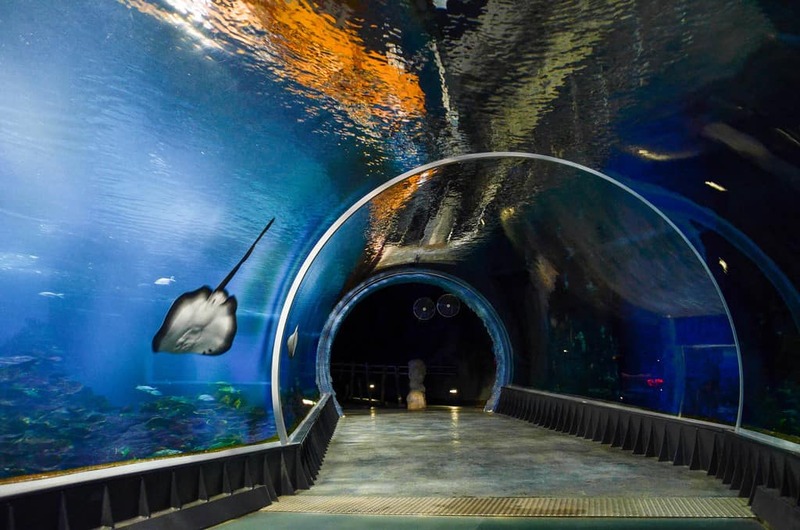 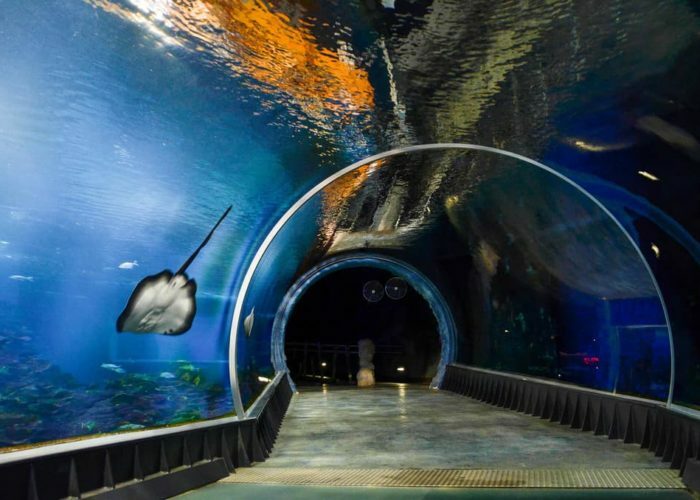 Wrocław Zoo is not only the oldest zoo in Poland (established in 1865), but it also includes Africarium – opened in 2014 – the only oceanarium in the world dedicated to Africa’s water environment and wildlife. Africarium is located within the area of Wrocław Zoo and you do NOT need to buy any separate entrance tickets to Africarium. 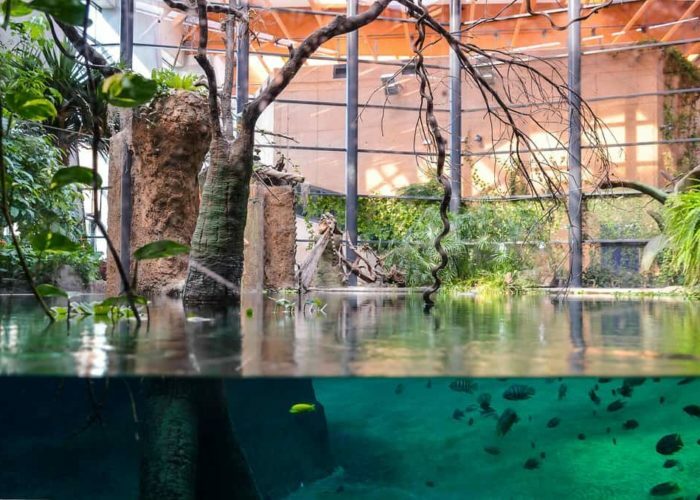 The opening hours of Africarium are the same as the whole Wrocław Zoo. 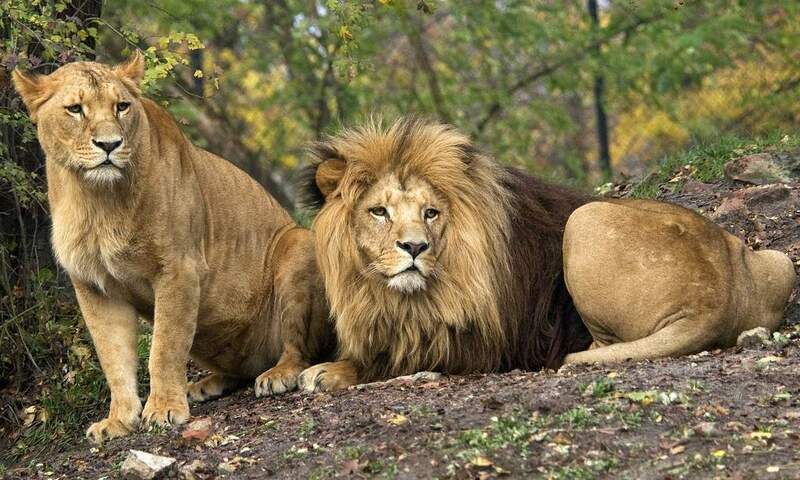 To skip the line and avoid crowds, it is recommended to visit the Wrocław Zoo in the morning, preferably at 9 am. 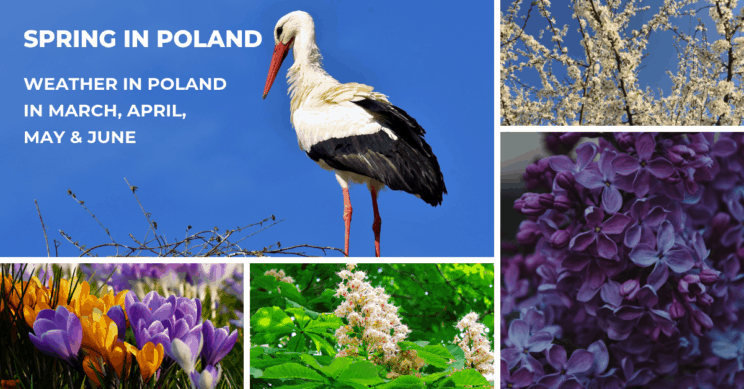 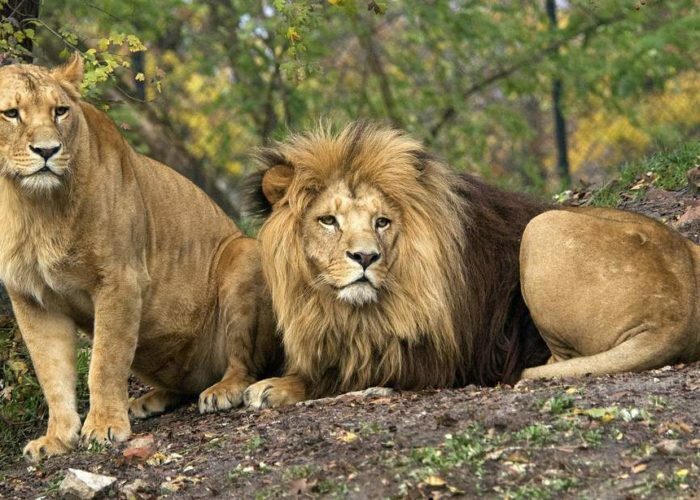 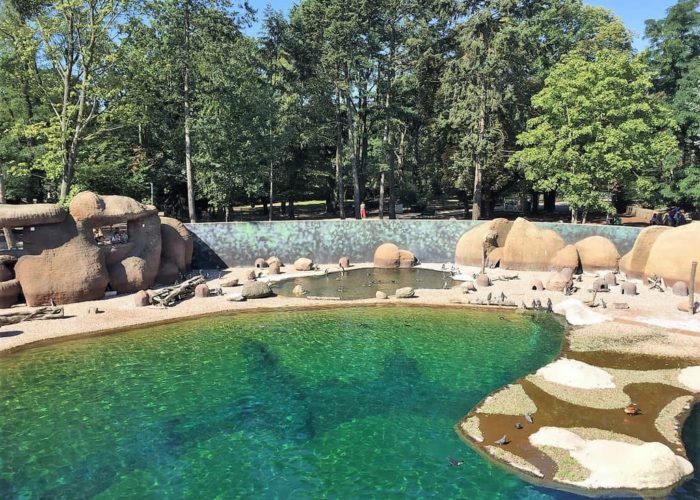 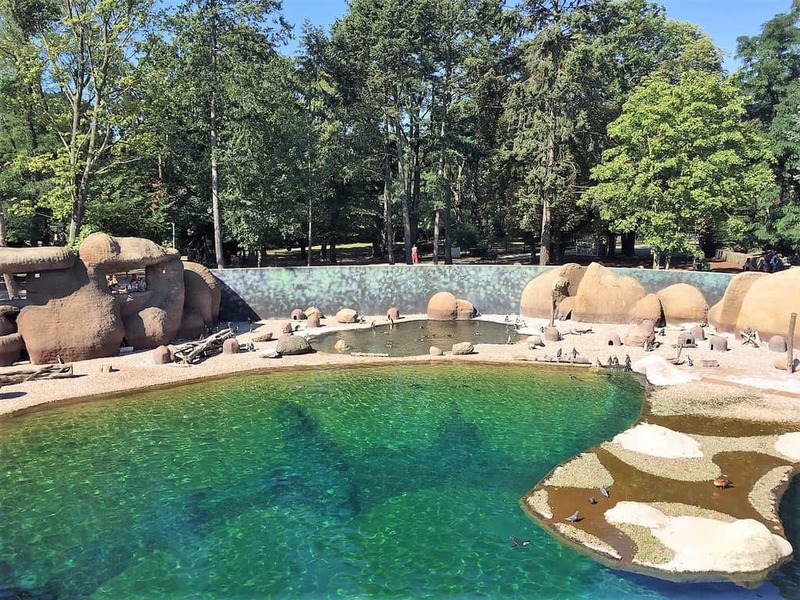 The Zoo in Wrocław is a fantastic tourist attraction and top tourist attraction in Poland in terms of sold tickets (the fifth place among European zoos and aquariums). 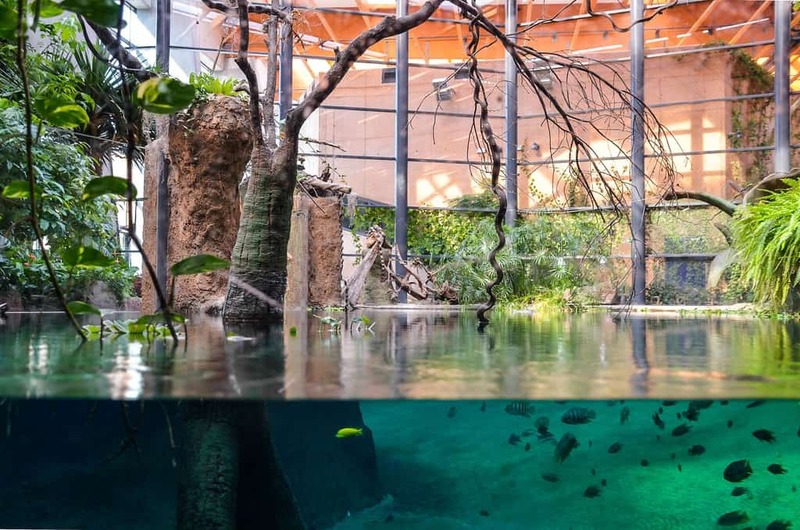 If you arrive in the morning, the lines are short and Africarium is not so crowded. 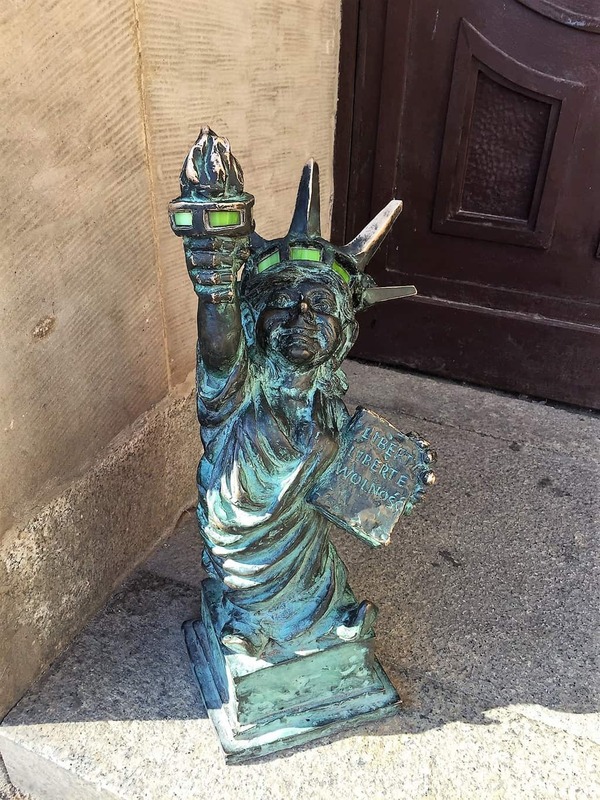 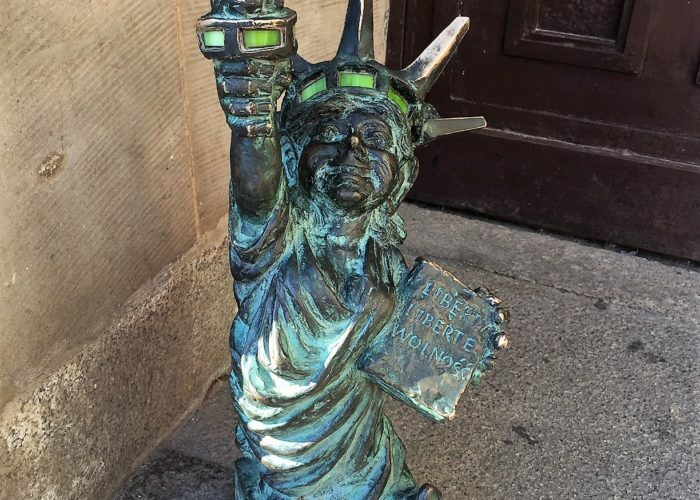 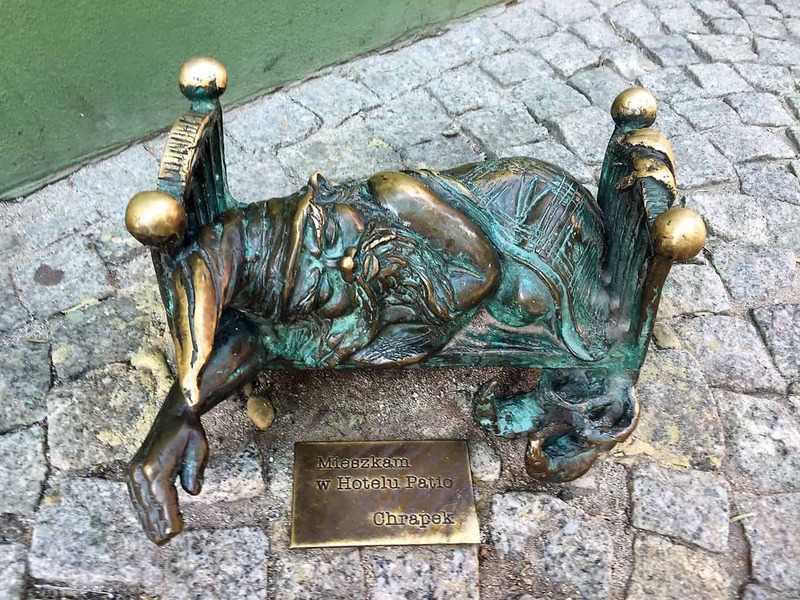 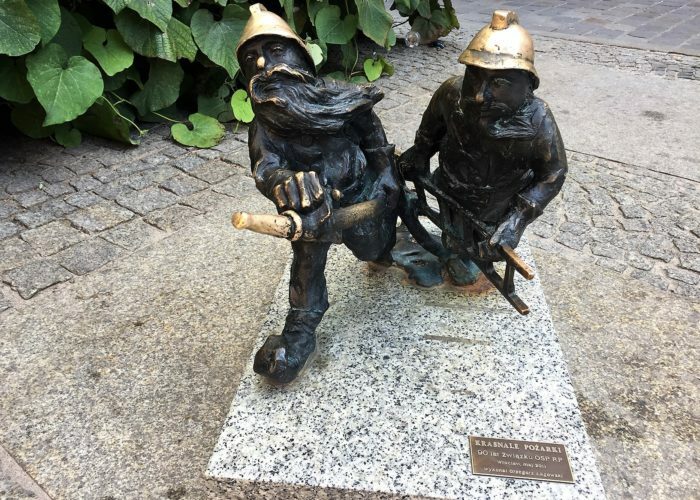 Wrocław’s dwarfs are small bronze figures (each no more than a foot tall) scattered around the city. 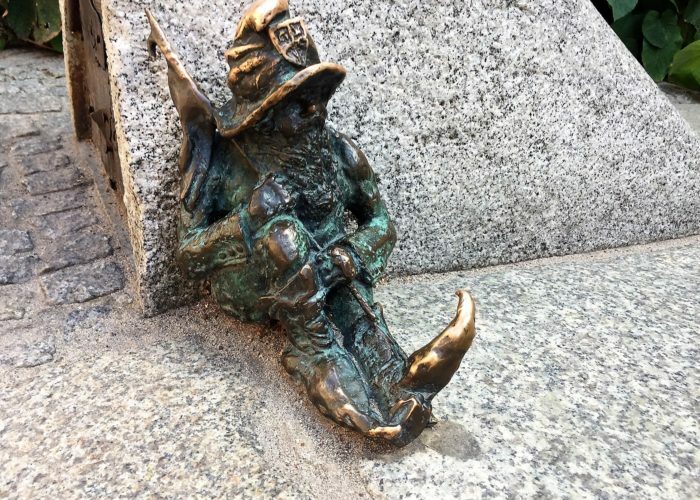 When you look closer you will notice they are very imaginative and each gnome refers to a particular part of the city or history. 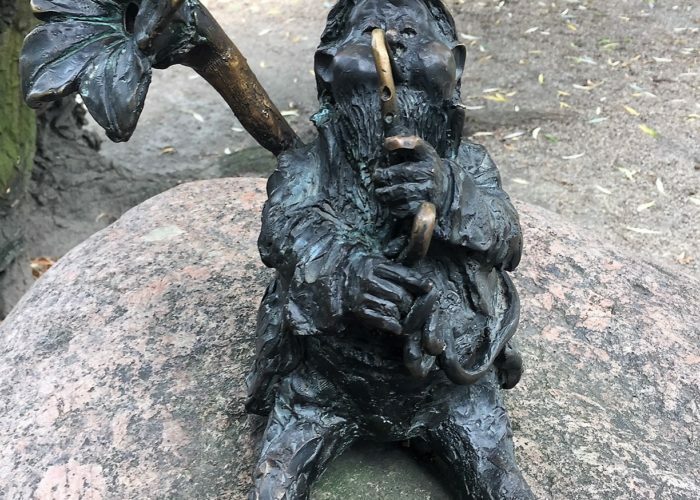 Next to Wrocław Philharmonic House, you will find the whole orchestra of gnomes, next to the bank – a gnome withdrawing money from ATM. 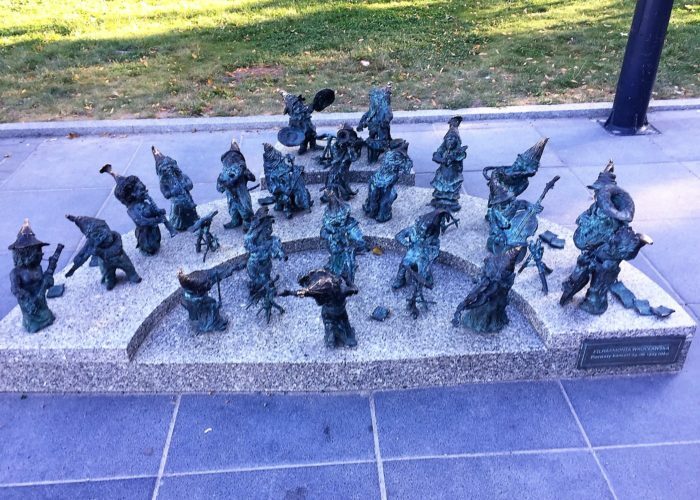 You may find a doctor with a stethoscope, a gnome concierge, a hairdresser, an excavator operator. 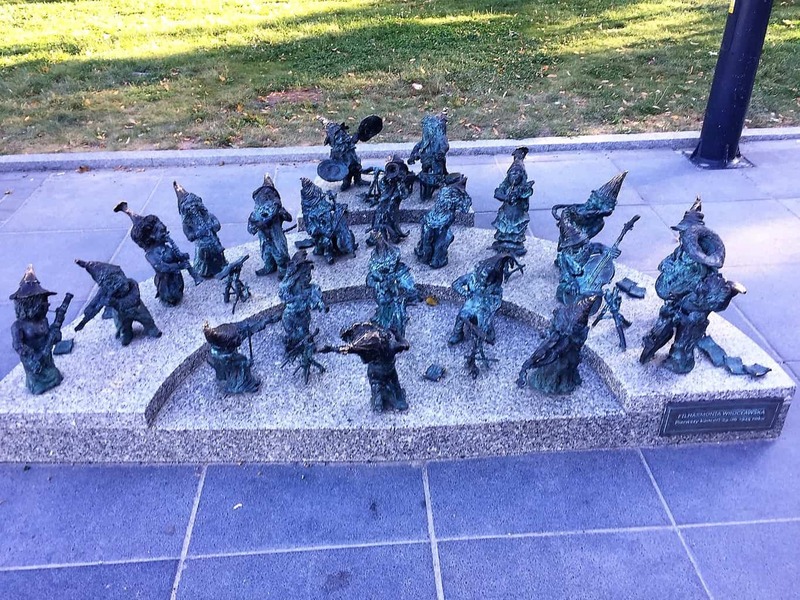 You can imagine it’s so much fun for kids to walk around the city discovering new statues of dwarves. 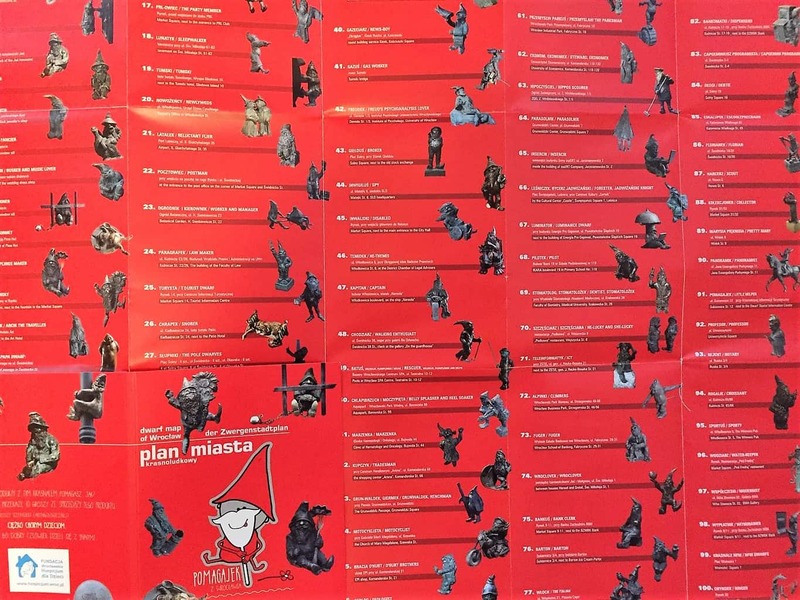 In the Wrocław tourist information office and in most of the souvenir shops you can buy a dwarf map of Wrocław, available also in English. 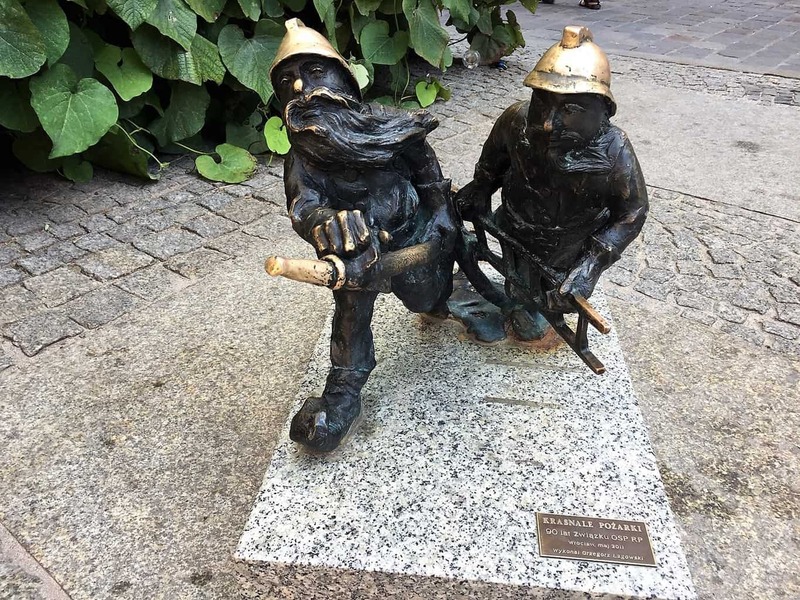 Dwarfs are a symbol of Wrocław but their history is relatively new. 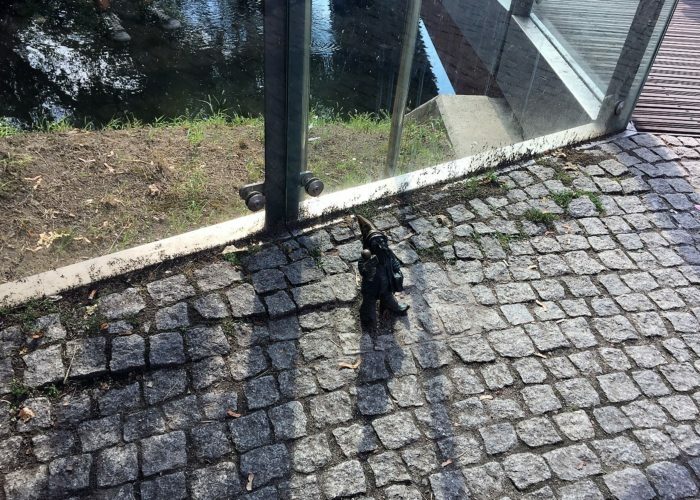 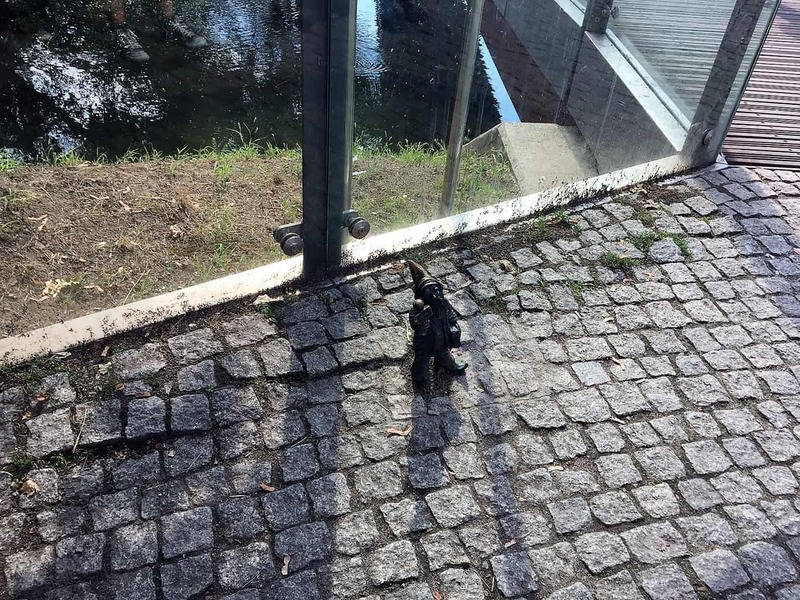 The tradition started in 2001 with a single dwarf – a statue commemorating an anti-communist underground movement (the dwarf was their symbol). 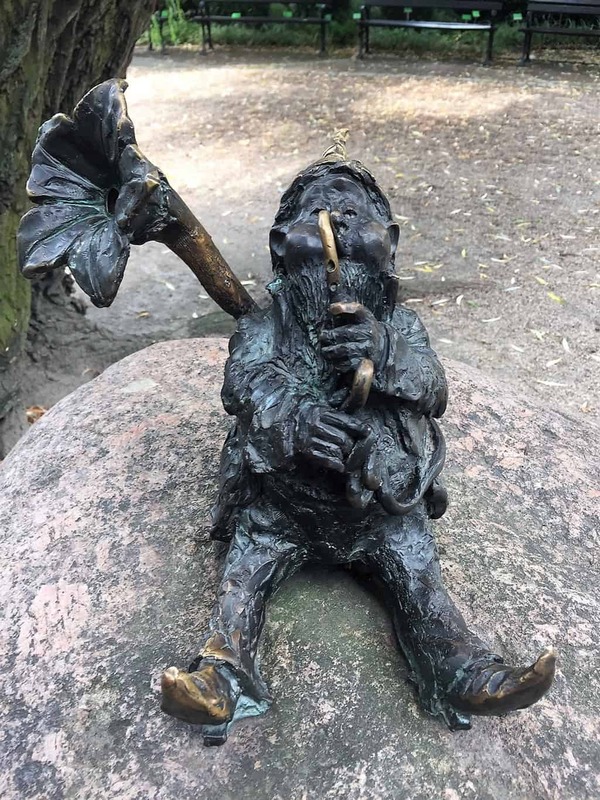 Now you can spot over 300 gnomes in Wrocław! 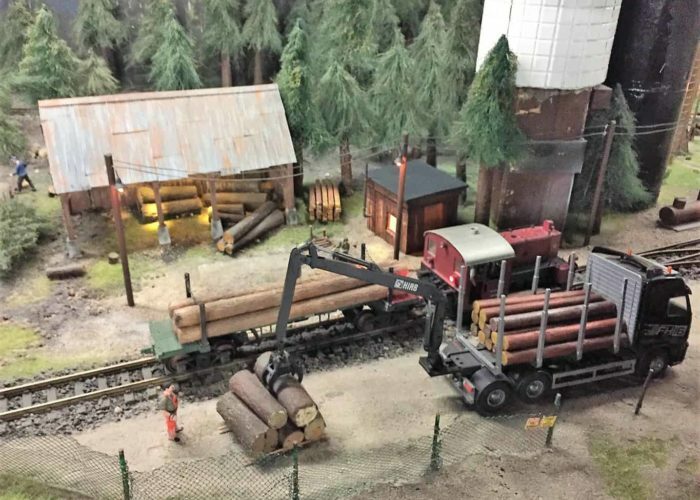 The name Kolejkowo comes from the Polish world – kolej – meaning rail. 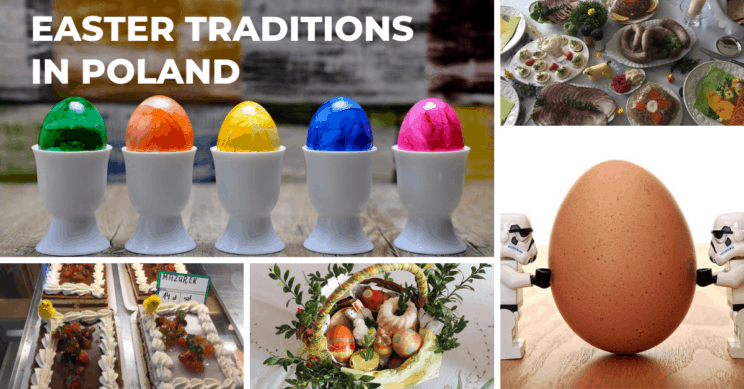 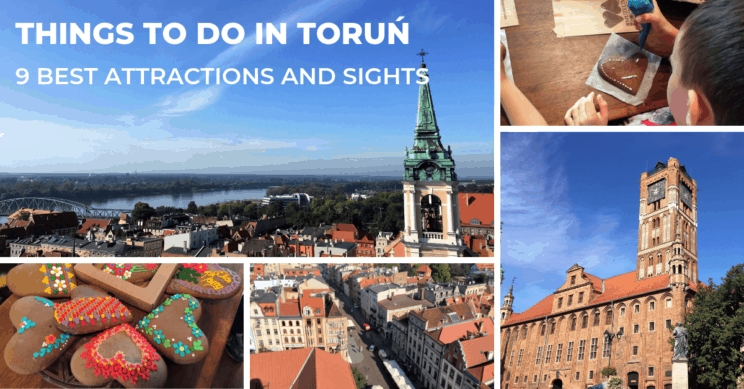 It’s an engaging attraction in Poland for both adults and children. 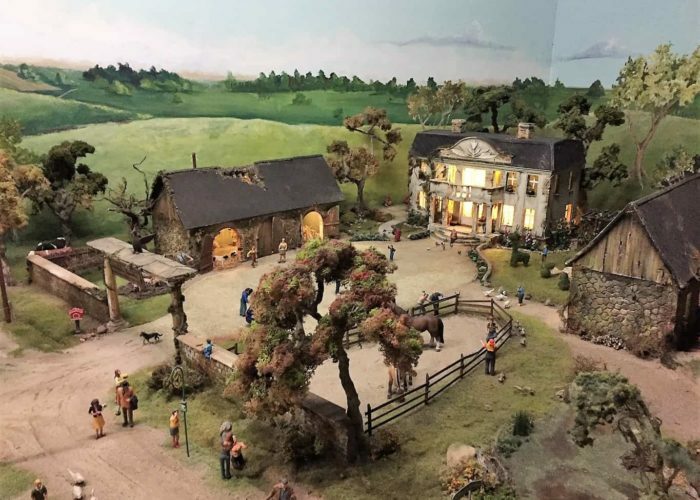 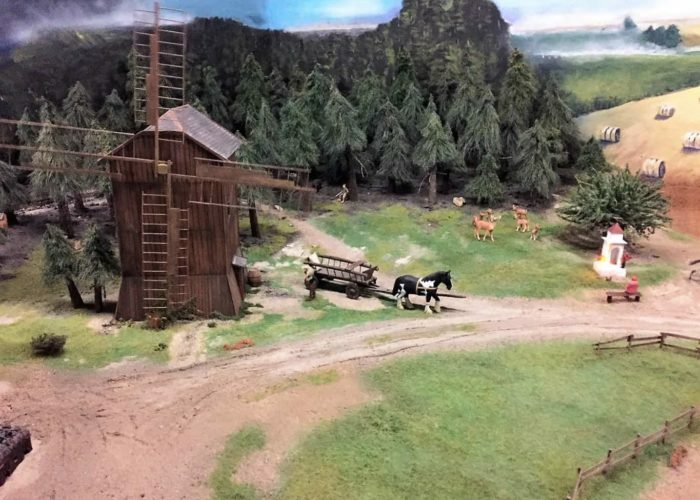 Kolejkowo presents a unique small scale model of the region of Lower Silesia featuring hundreds of models (railways, cars, buildings, bridges) and thousands of figures of people and animals including such details as a wedding reception and a waiter dropping a wedding cake. 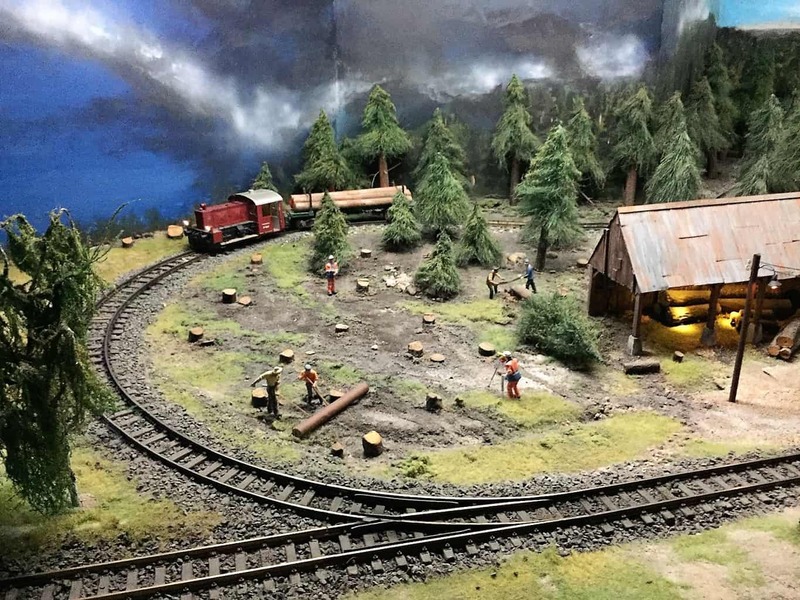 All models and figures are hand-made and mirror the originals. 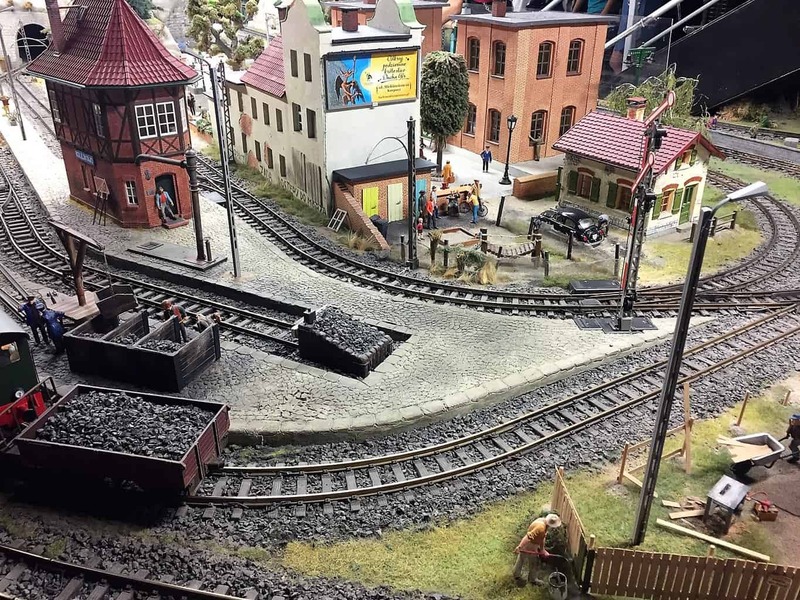 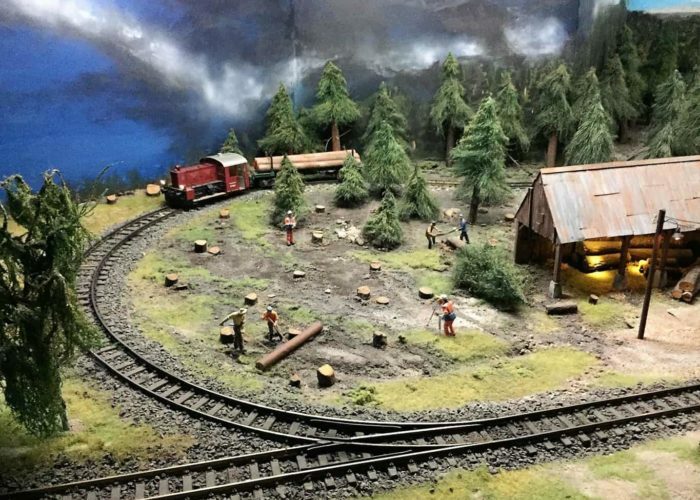 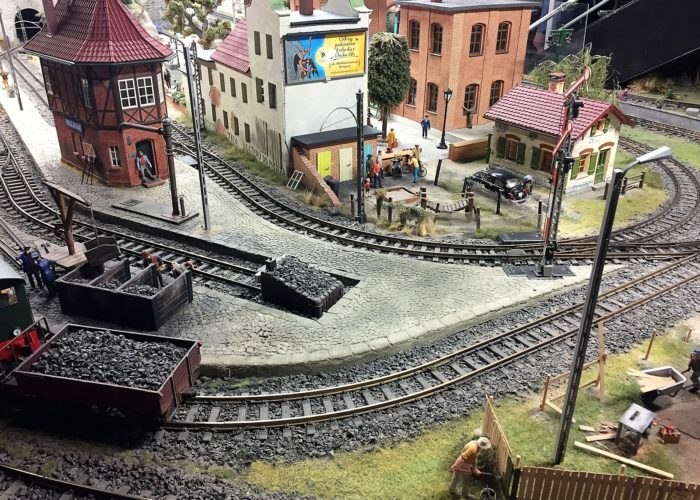 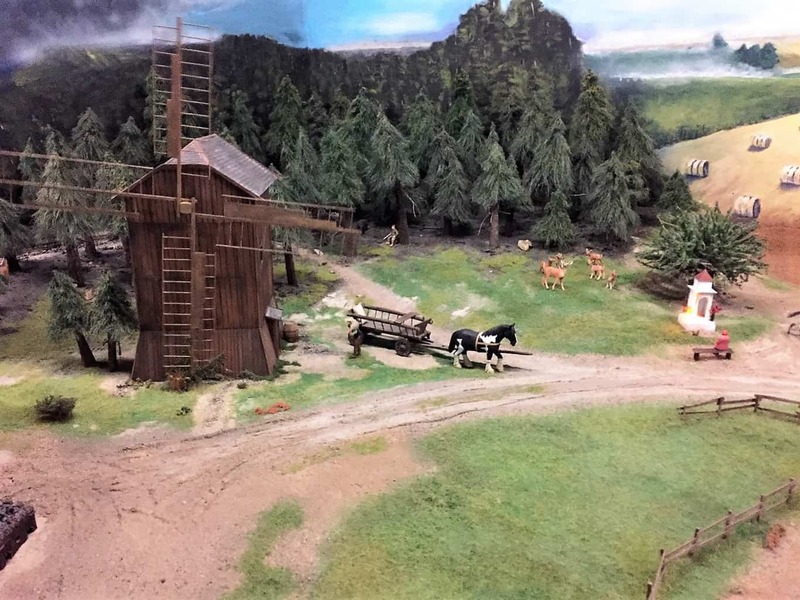 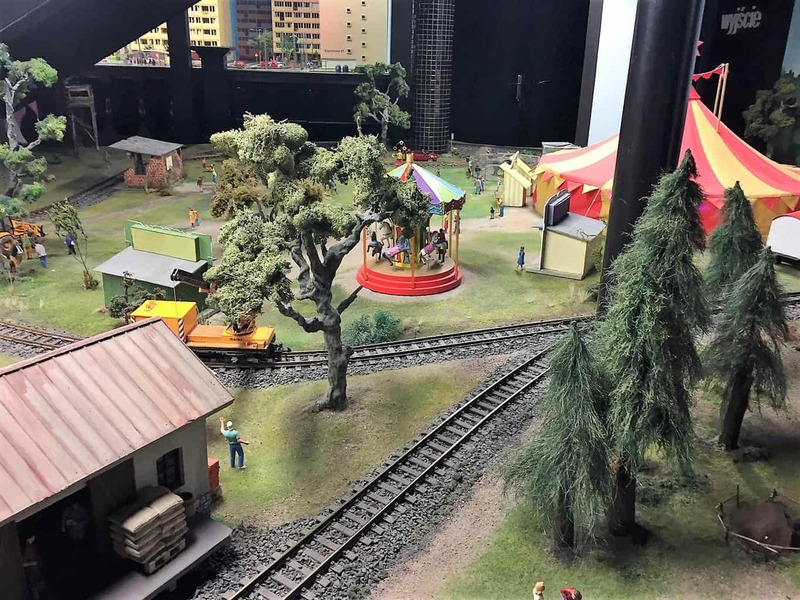 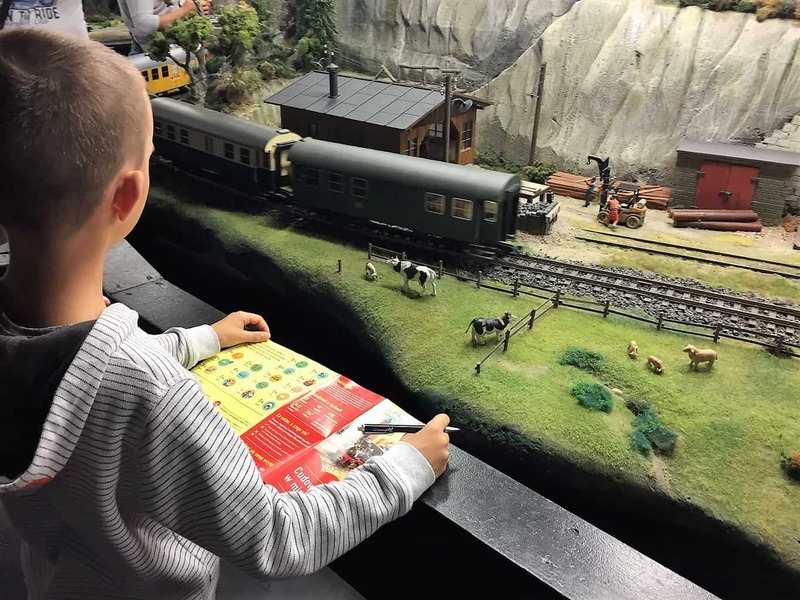 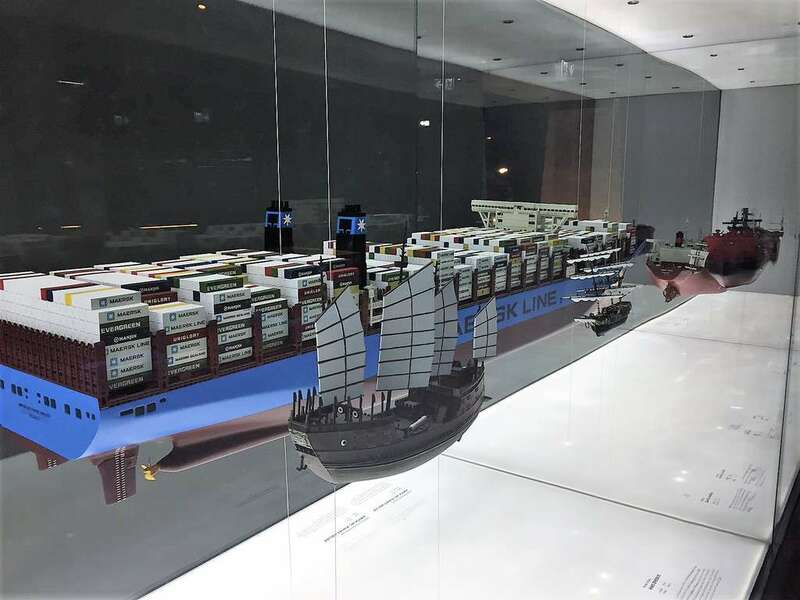 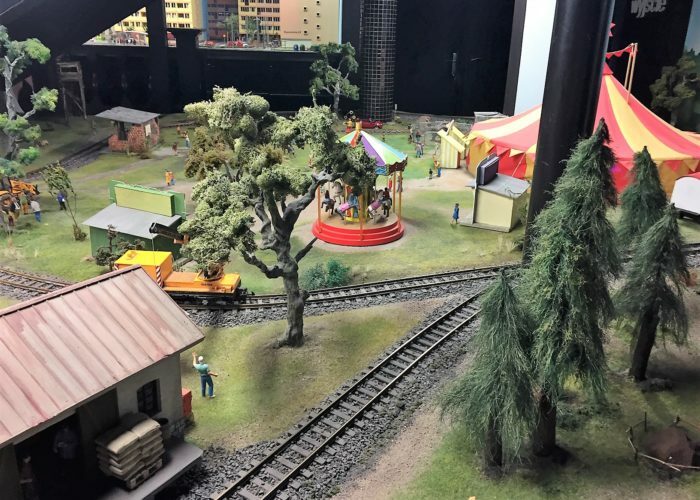 Kids and adults will love the miniature replicas of cities, landscapes, and of course the main attraction of Kolejkowo – the biggest railway model in Poland (510 meters of railway tracks, 15 trains, 60 railway carriages – all moving!). 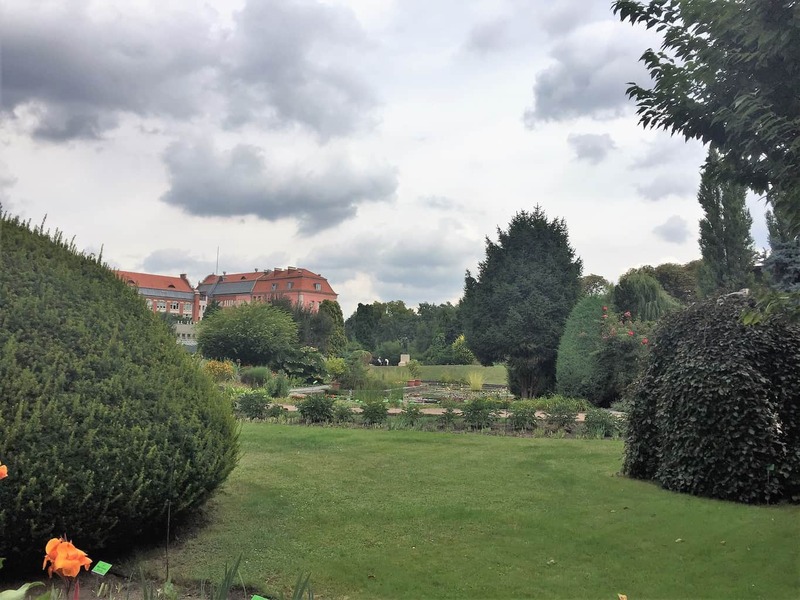 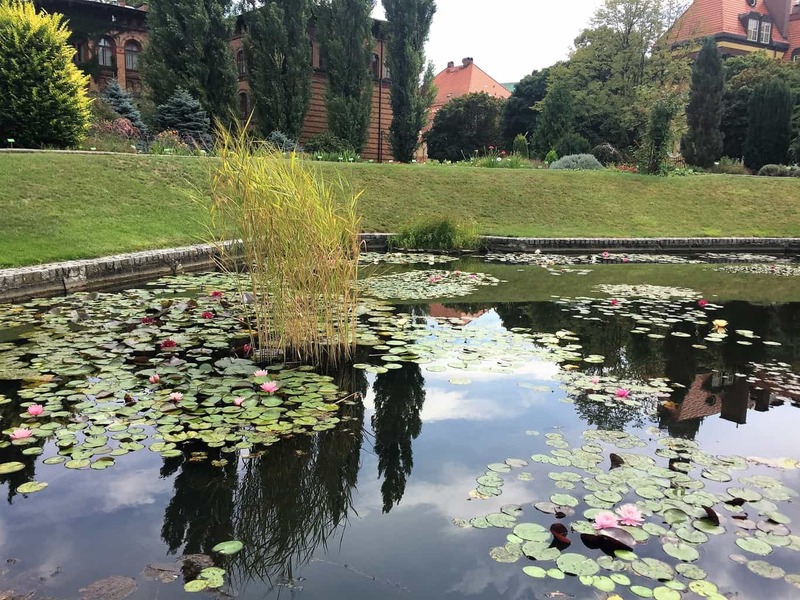 You can include Kolejkowo in your list of things to do in Wrocław – especially for a bad weather day in Wrocław – when it’s raining or it’s too cold or too hot to stay outside. 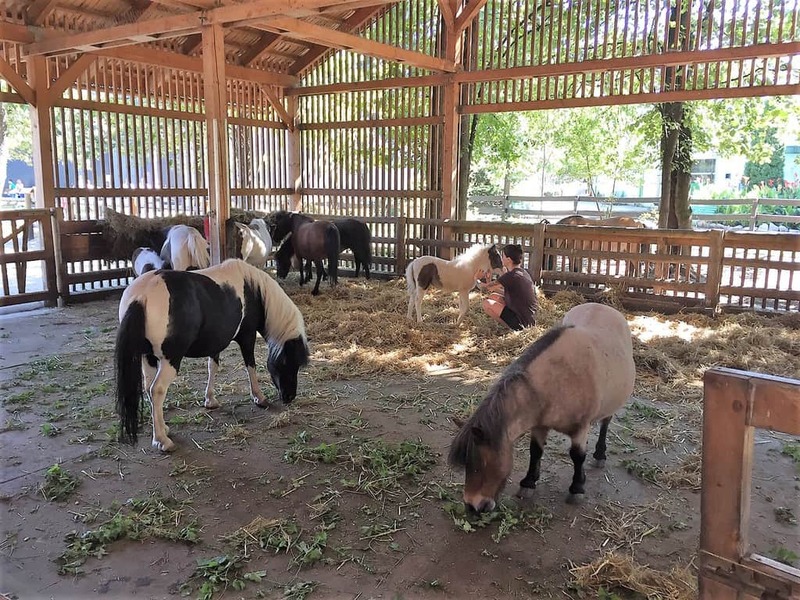 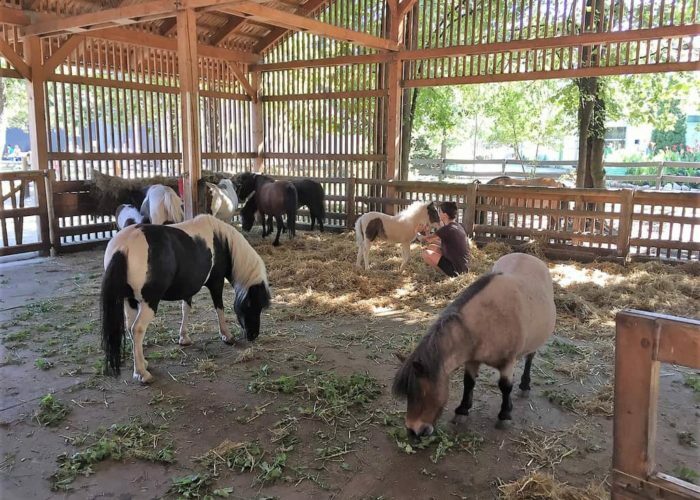 Click here to read our tips in English: opening hours of Kolejkowo, how to get to Kolejkowo, tickets to Kolejkowo, what is available in English in Kolejkowo. Great destination in Wrocław for adults and children. 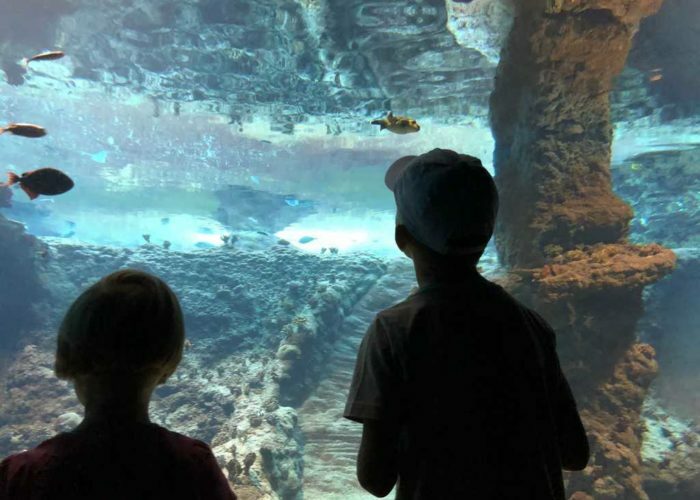 You can learn about water from different perspectives – the evolution of life in water, water animals camouflage techniques, deep sea creatures, the bathyscaphe, the states of water, water engineering. 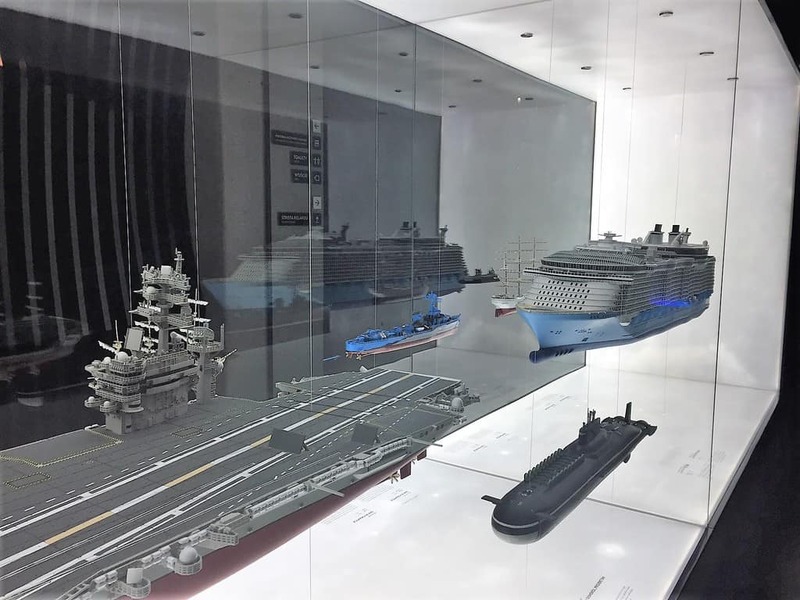 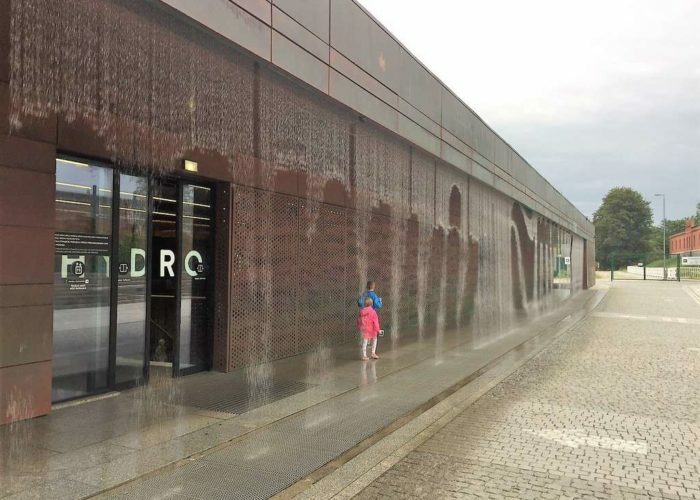 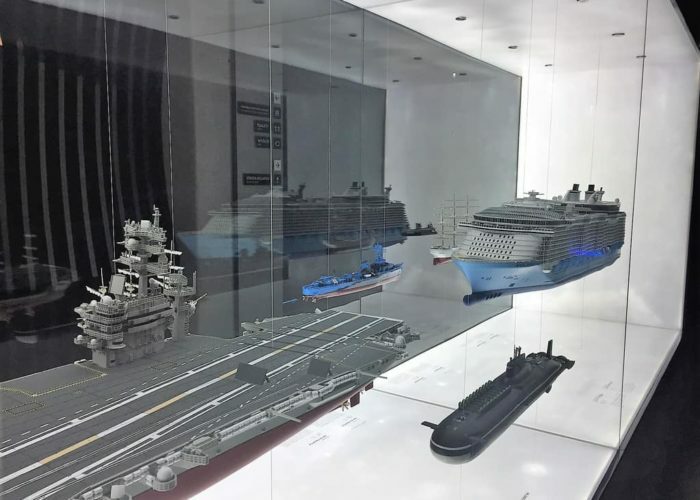 The Hydropolis Center was opened in 2015 – it’s very modern, full of multimedia technologies, installations, touch screens etc. 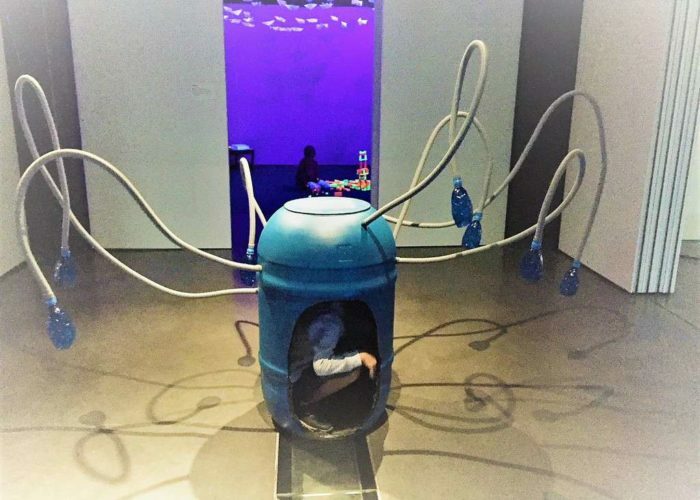 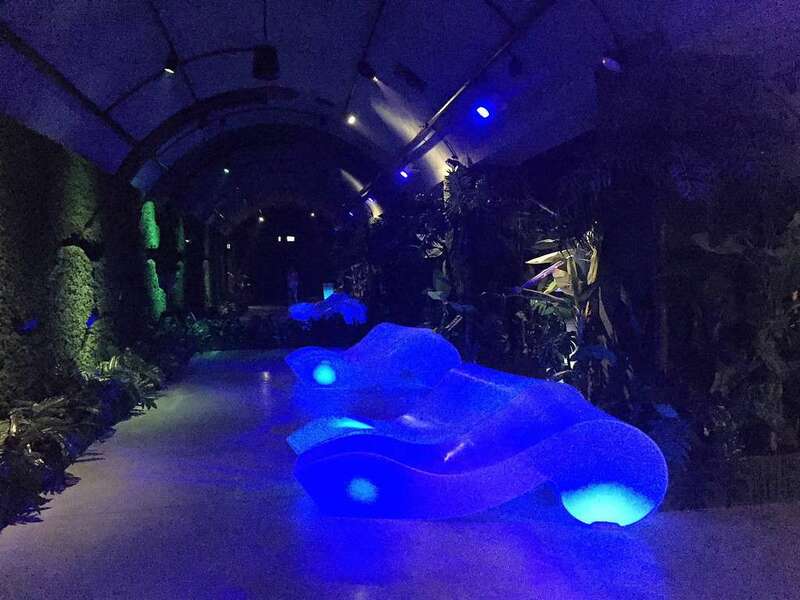 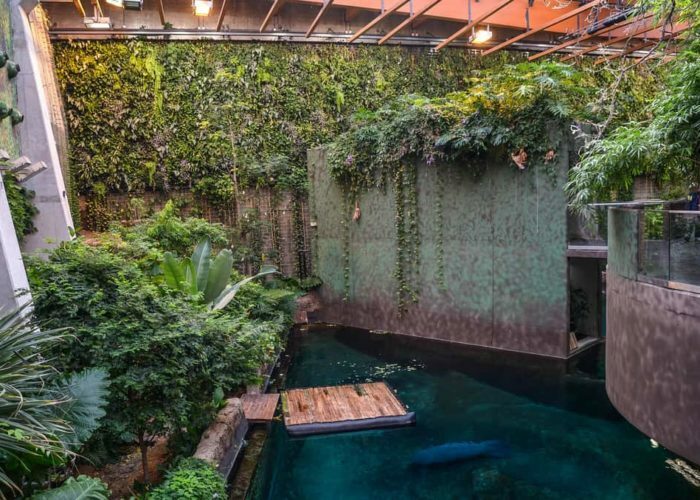 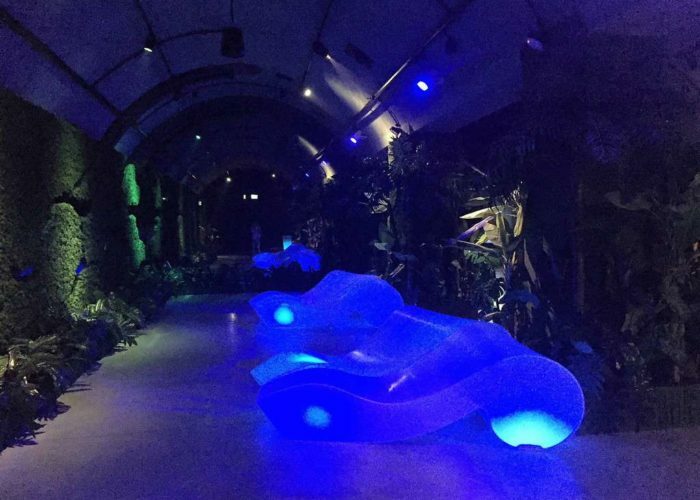 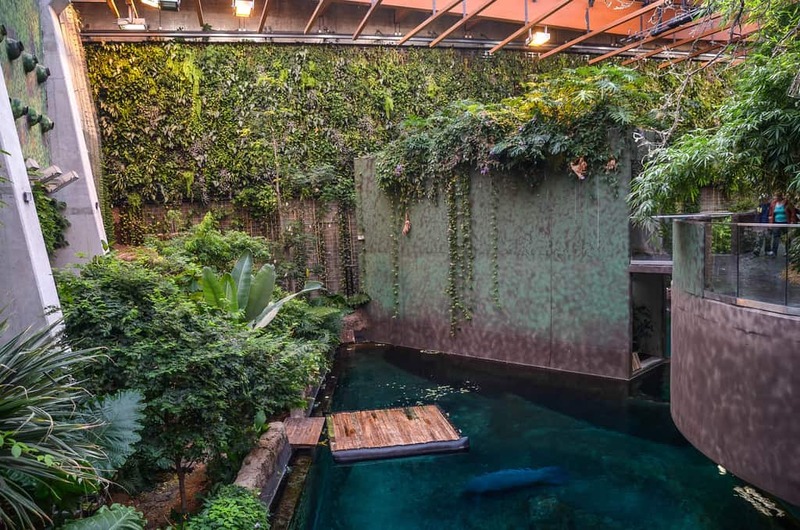 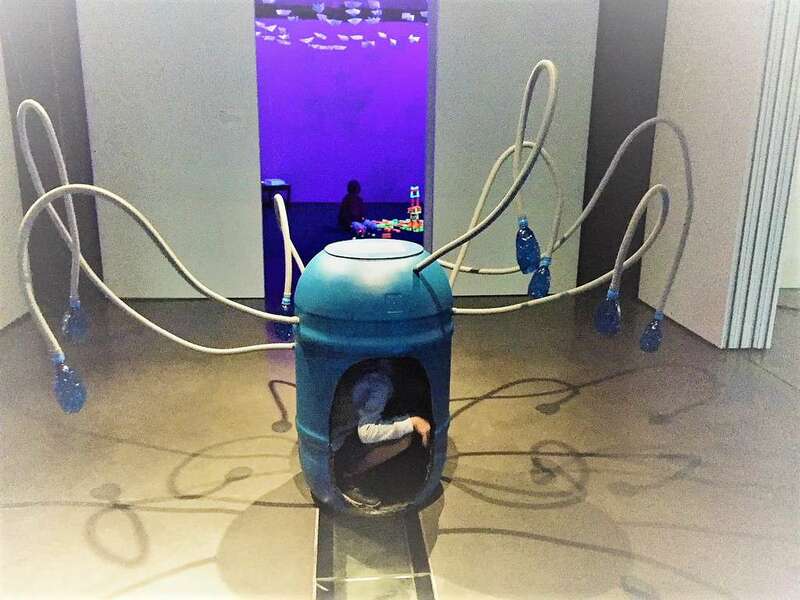 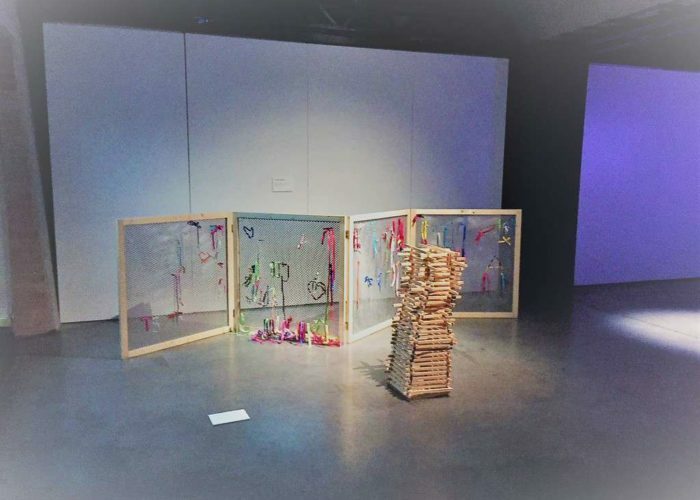 Hydropolis includes interactive installations dedicated to kids as well as a relaxation zone – a room with deckchairs and jungle sounds, designed as a garden. After or before visiting Hydropolis, you could take the opportunity and ride with Polinka cable car over the Oder river. 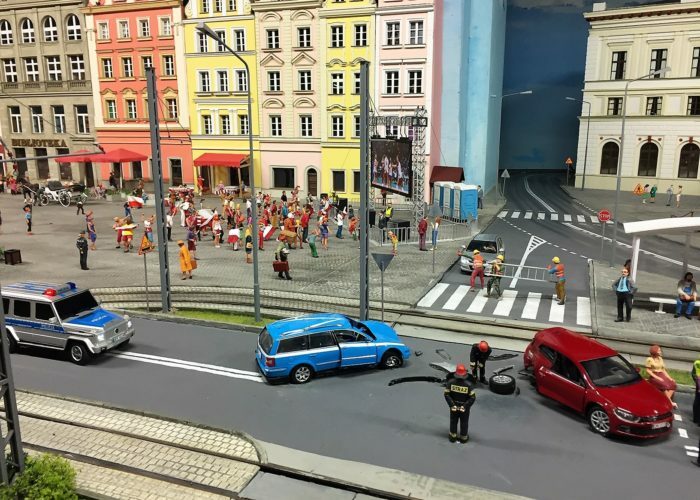 The car looks exactly like a mountain gondola! 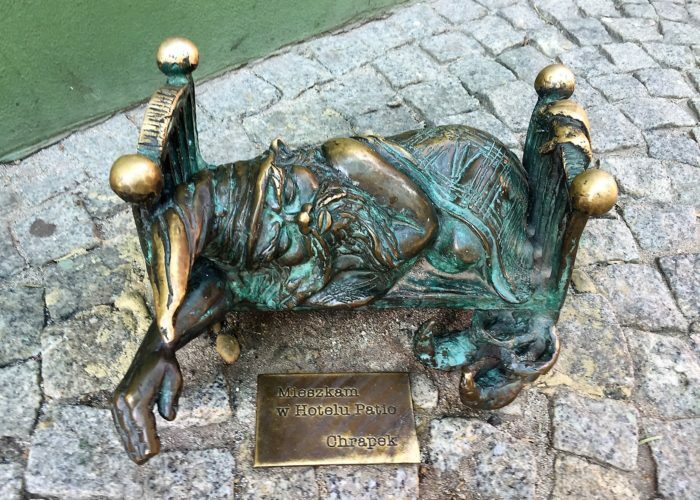 The Polinka stop is located only 300 meter-walk from Hydropolis. 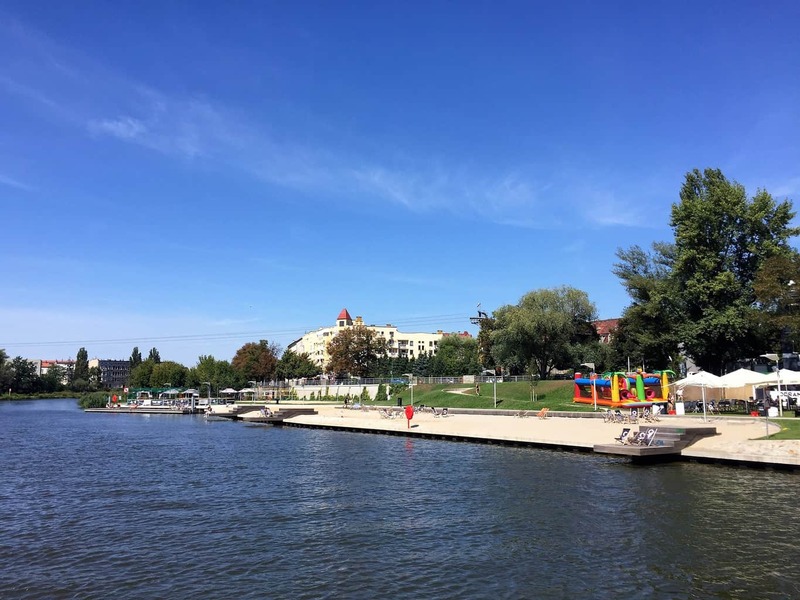 The ride takes about 2-3 minutes, a cable car goes about seven meters above the water. 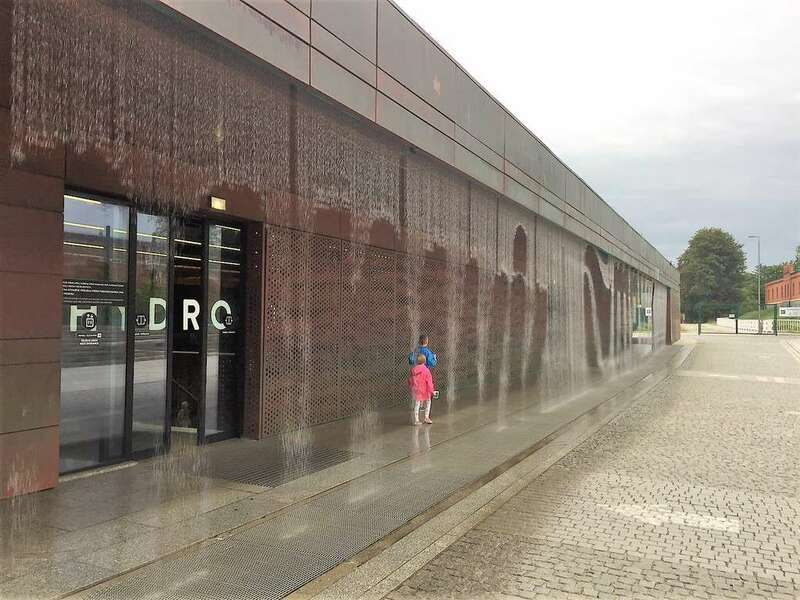 Click here to read our tips in English: opening hours of Hydropolis, how to get to Hydropolis, tickets to Hydropolis, what is available in English in Hydropolis. 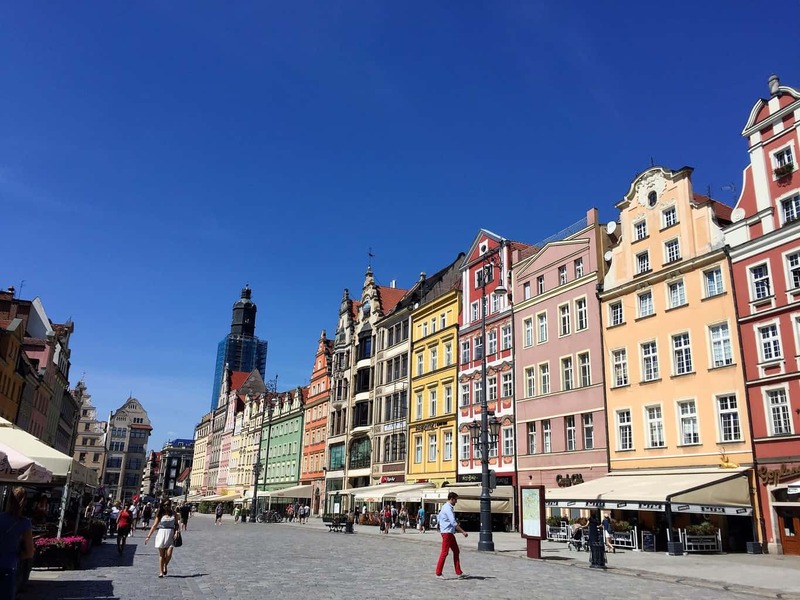 Wrocław has one of the largest market squares in Europe, with the late-Gothic City Hall in the center and dozen of tenement houses hosting cafes and restaurants. If you don’t mind walking up the stairs, church towers in the Old Town offer the best view. 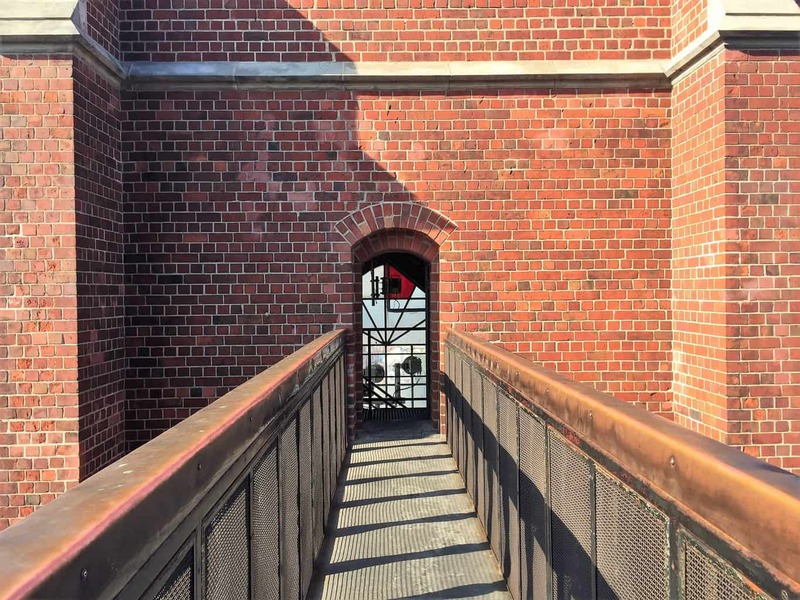 One option is to climb the tower of St. Elizabeth’s Church (Kościół św. 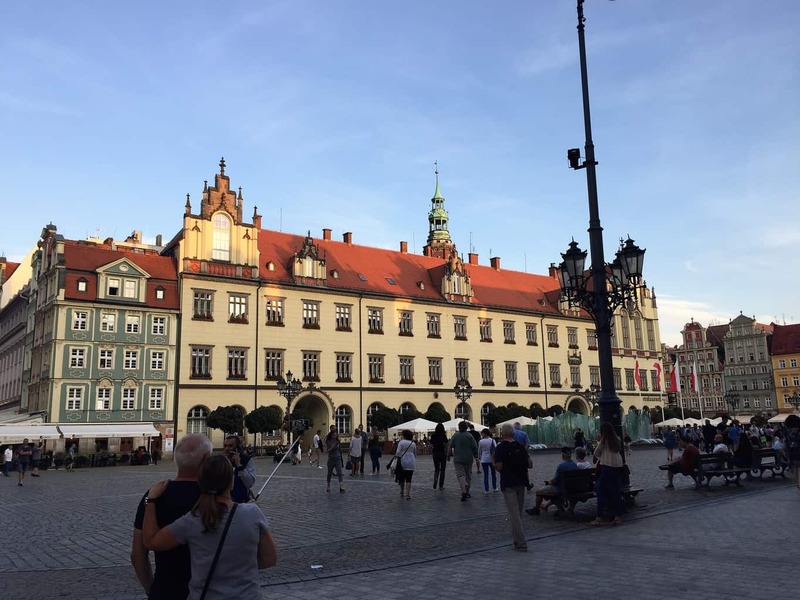 Elżbiety, ul. św. 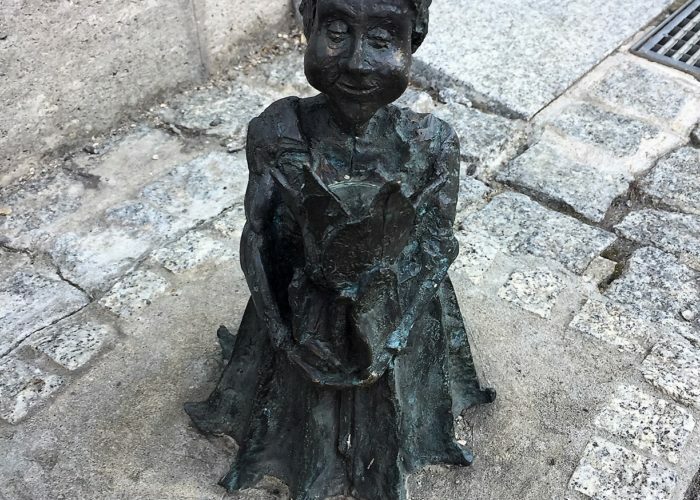 Elżbiety 1/2). 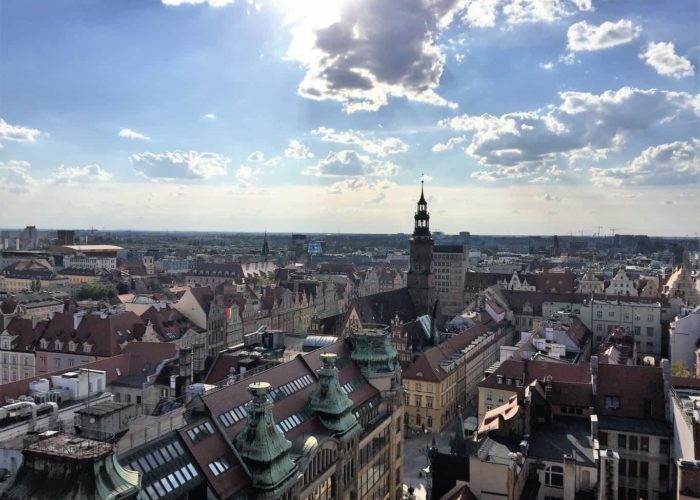 The church tower is over 90 m high, it’s open every day April-October, 10 am – 7 pm. 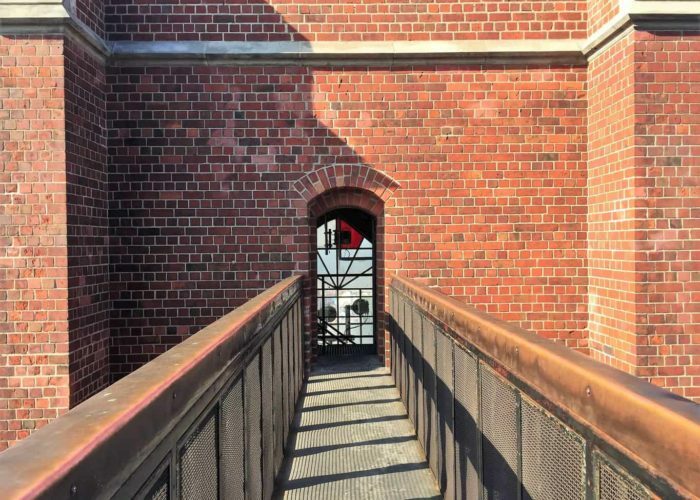 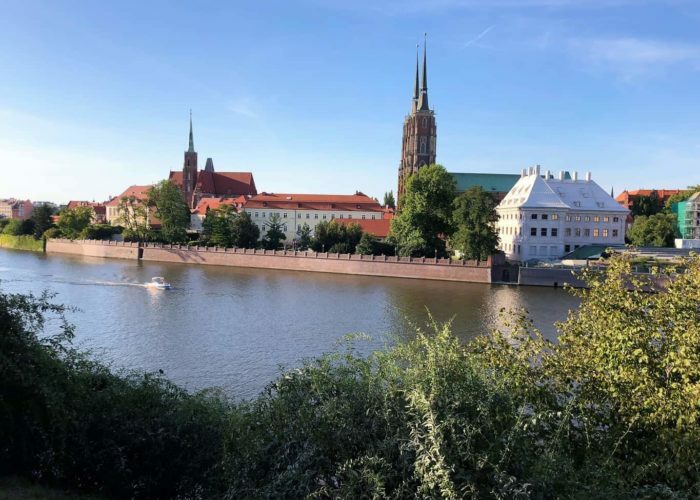 Another interesting option is to climb ‘the highest bridge’ in Wrocław – it’s a short footbridge joining two towers of Cathedral of St. Mary Magdalene (Katedra św. 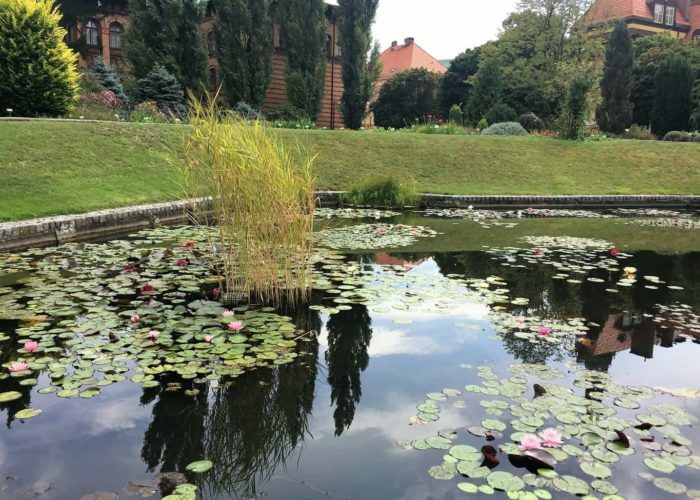 Marii Magdaleny, ul. 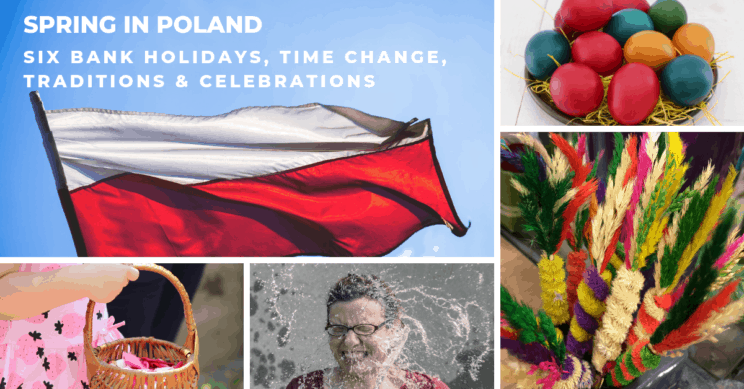 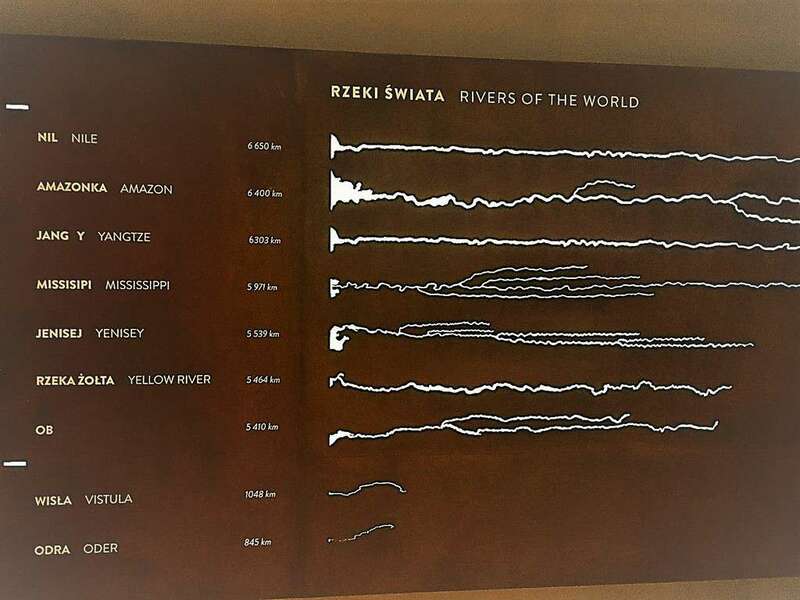 Szewska 10), open every day: 10 am – 6 pm in the winter season and 10 am – 8 pm in the summer season. 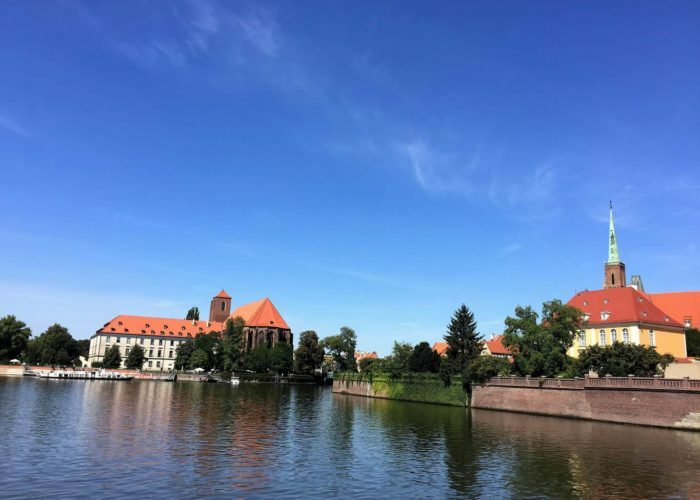 Make sure to include in your Wrocław must-see list the Ostrów Tumski district – the oldest part of Wrocław that used to be an island (about 1,5 km from the Market Square). 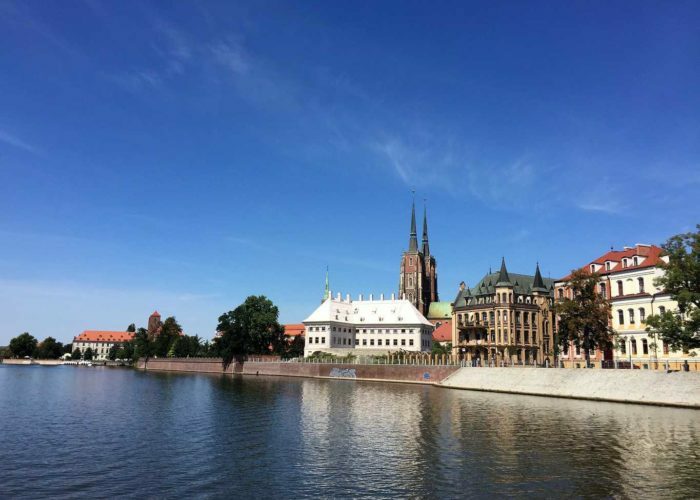 Ostrów Tumski is full of sacral architecture, including the oldest fully preserved building in Wrocław – Church of St. Giles (Kościół św. 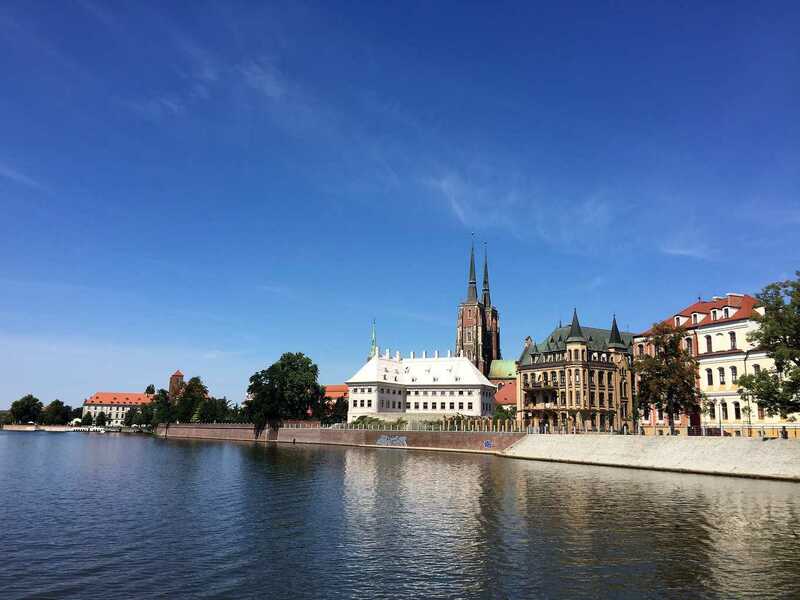 Idziego) from the first half of the thirteenth century, located on Plac Katedralny (Cathedral Square), next to the impressive Gothic Cathedral of Wrocław. 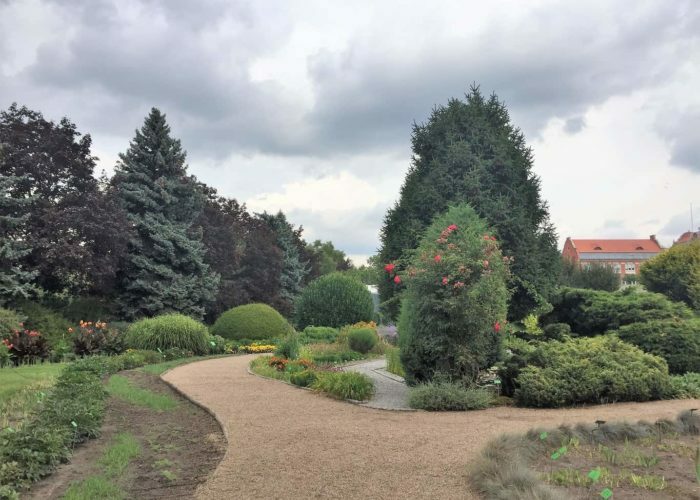 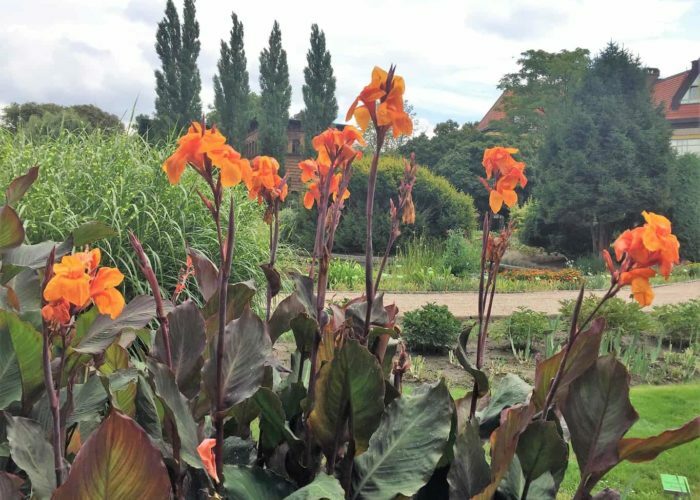 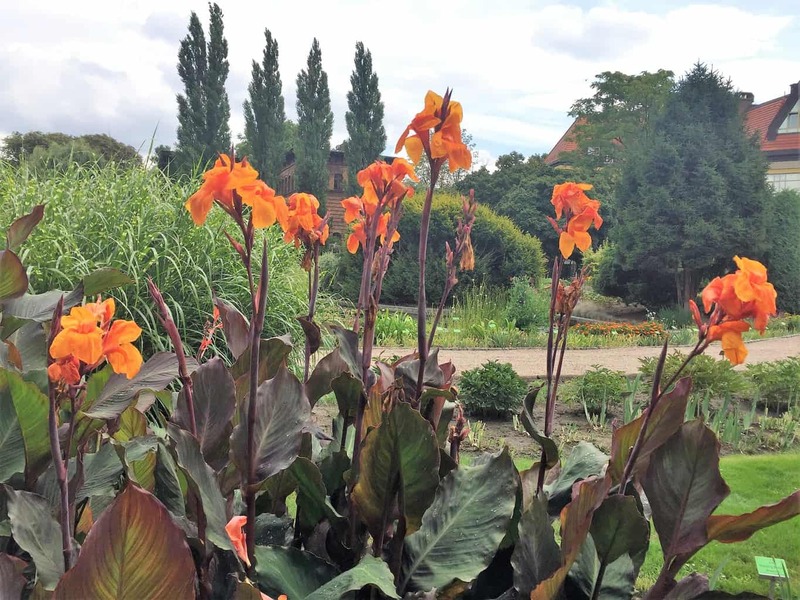 If the weather is nice you can visit the Botanical Garden which is located in Ostrów Tumski just a few steps from the monumental churches. 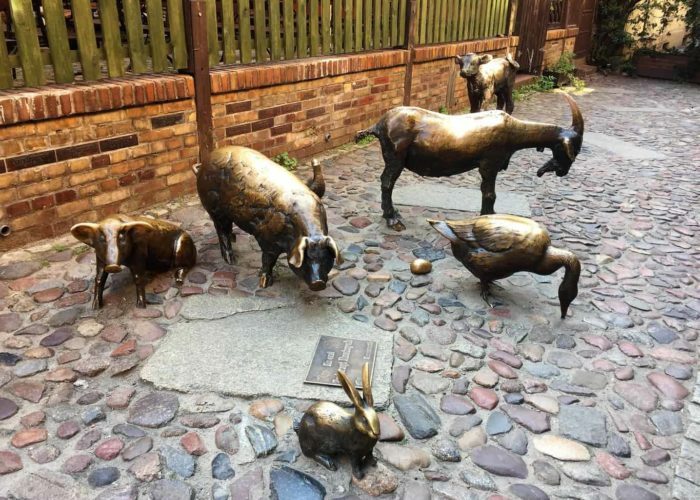 An interesting experience (especially when your legs need a break from sightseeing or you travel with kids) is to explore Wrocław with one of many Melexes available around the old town. 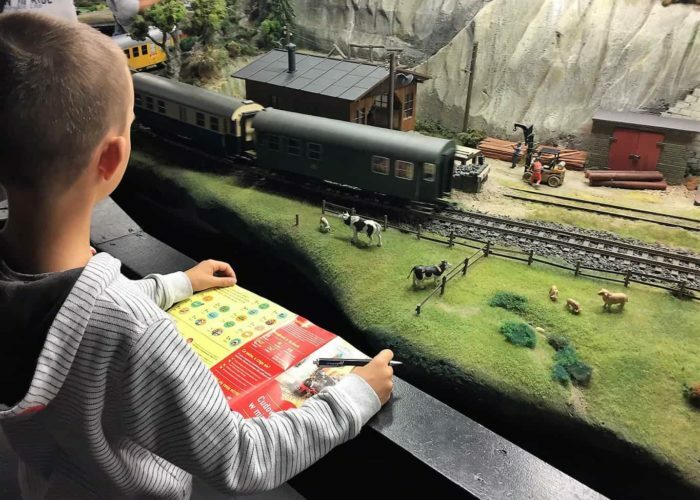 They offer sightseeing in plenty of languages and different routes to select. 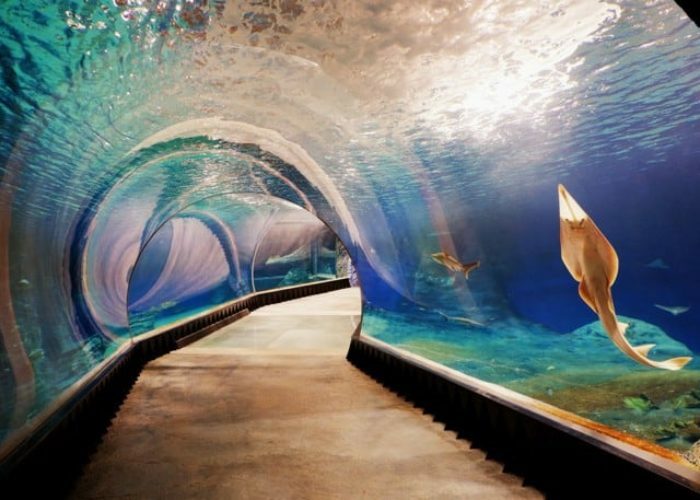 A trip takes usually about 1-2 hours and includes stops. 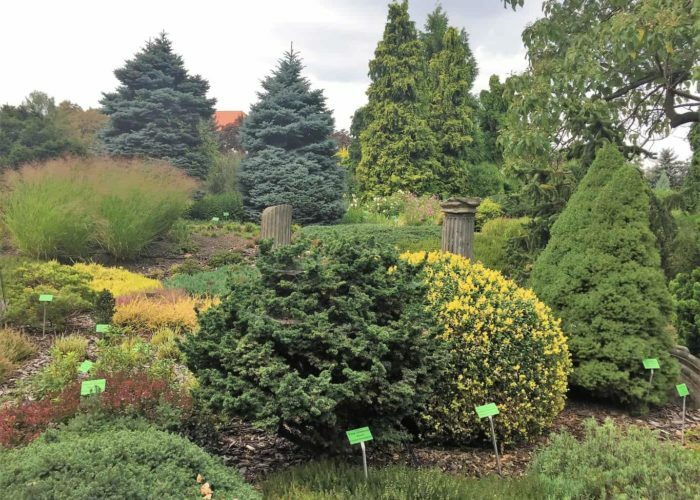 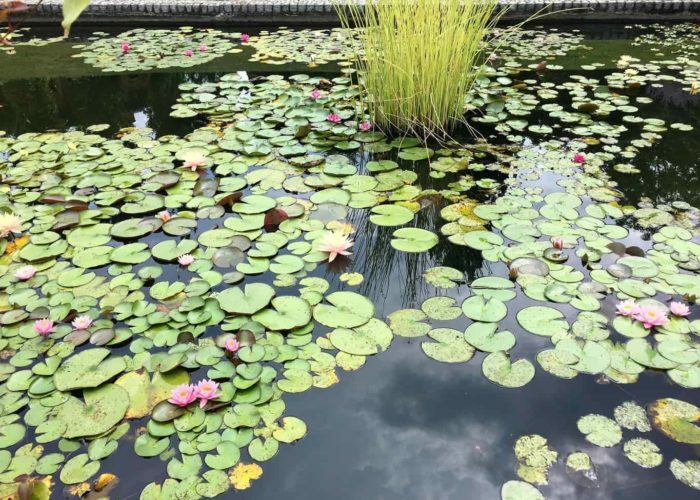 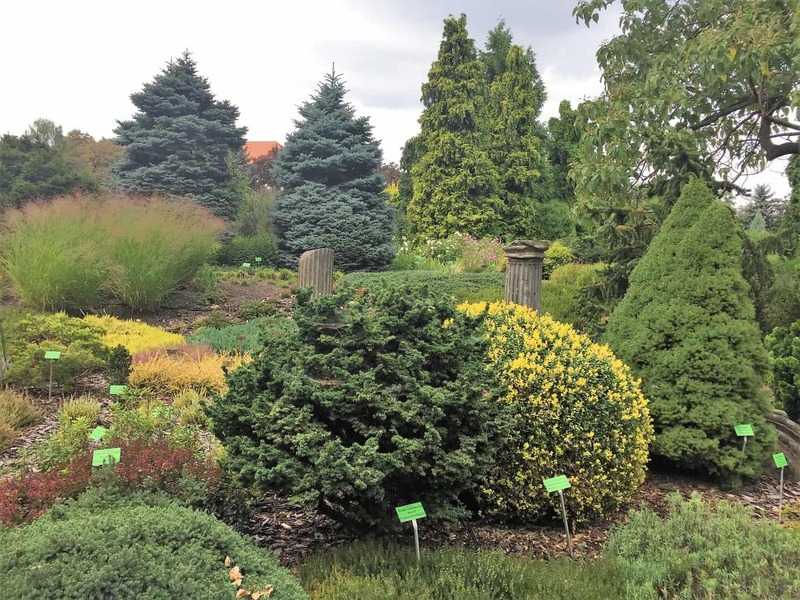 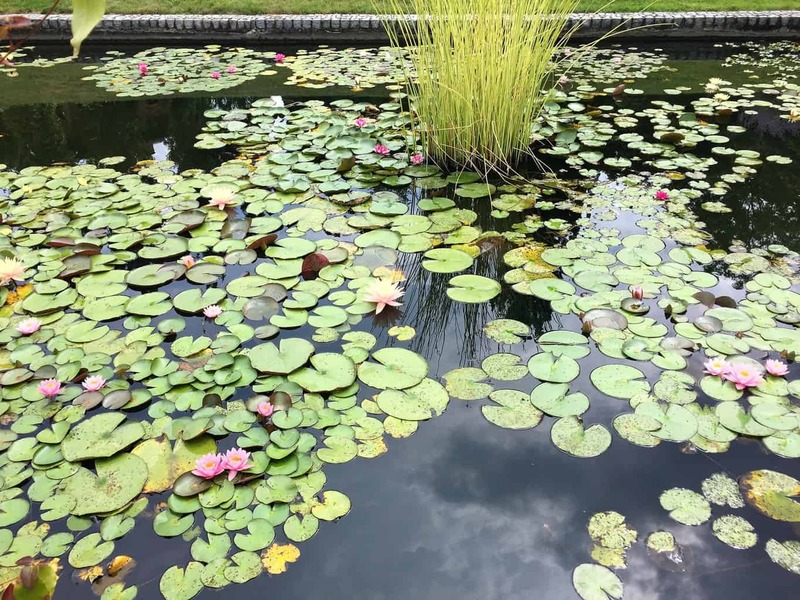 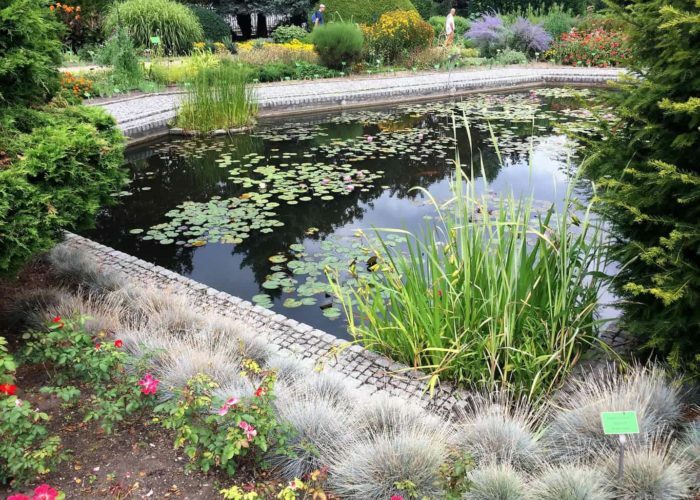 If you need a break from typical tourist attractions, the Botanical Garden is a green oasis of calm in the center of the city. 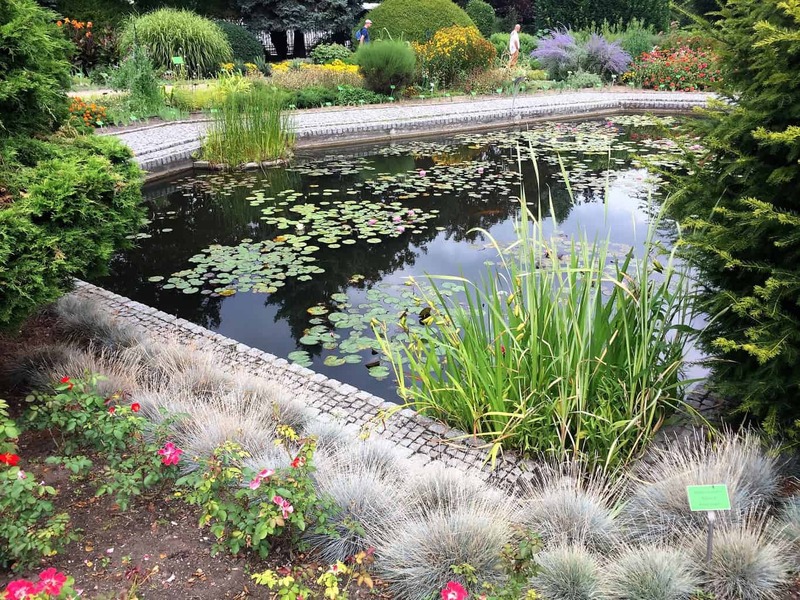 Established in 1811, the park includes ponds with wooden bridges, greenhouse, and thousands of plants – many of them bloom colorfully. 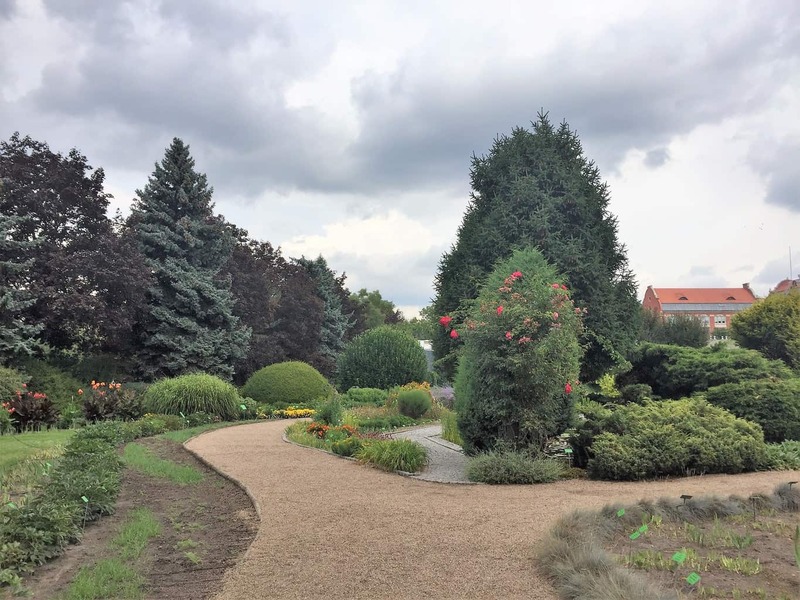 The Garden is open every day (including holidays) from April 1 until October 31 (April and September: 9 am – 6 pm, May – August 9 am – 7 pm, October 9 am – 5 pm). Sometimes Wrocław is called ‘the Venice of the North’ – there are over 100 bridges, 25 islets, 7 rivers (the Oder/Odra being the largest in Wrocław and the third-longest river in Poland after the Vistula and Warta), and many streams and channels. 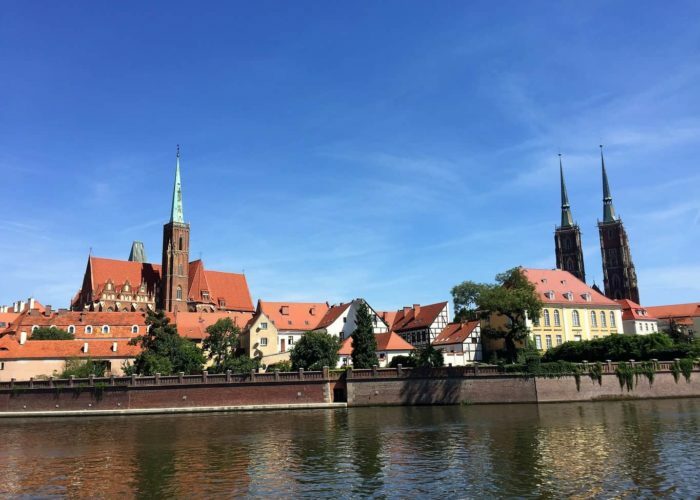 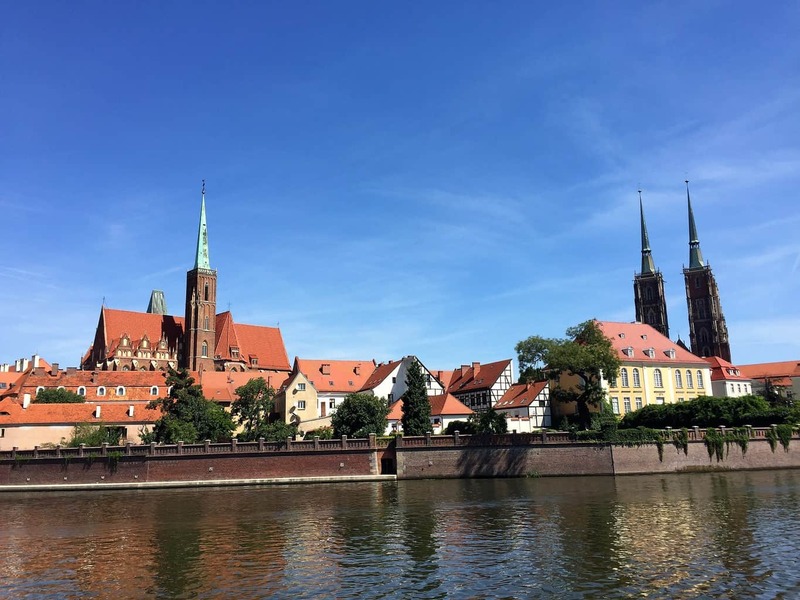 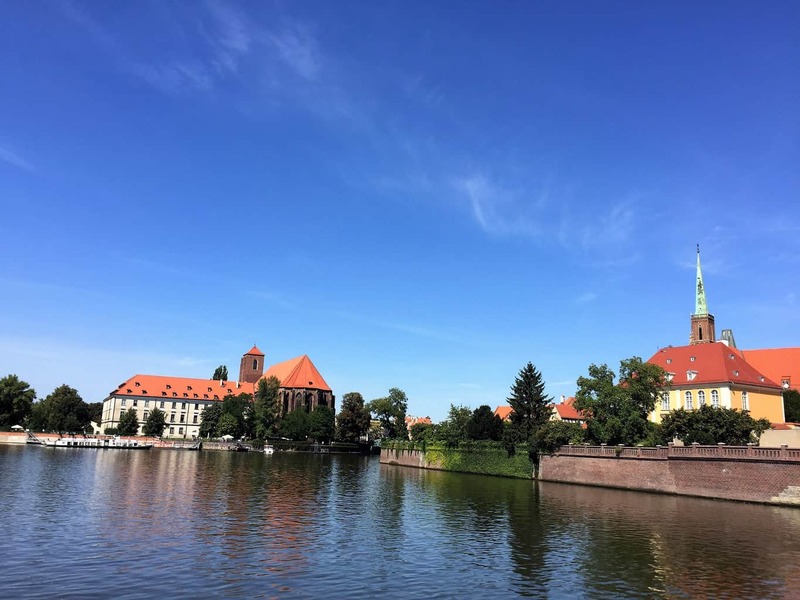 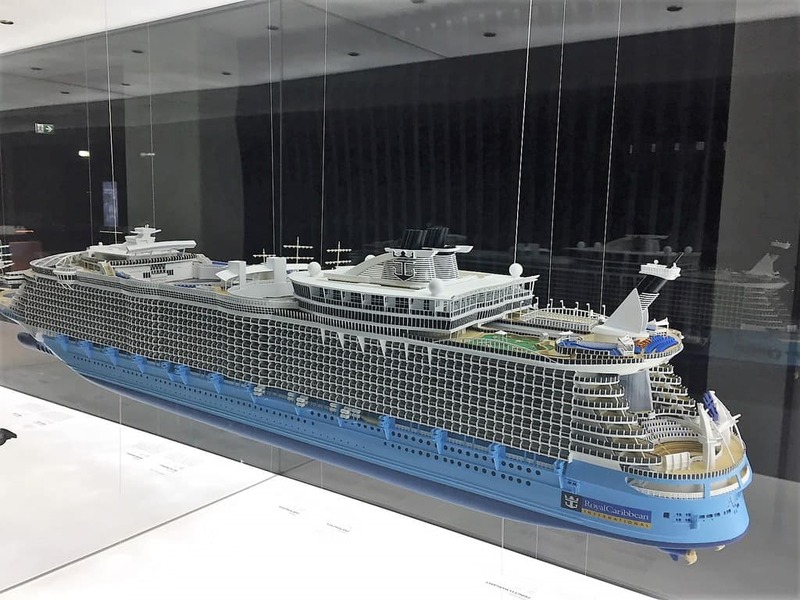 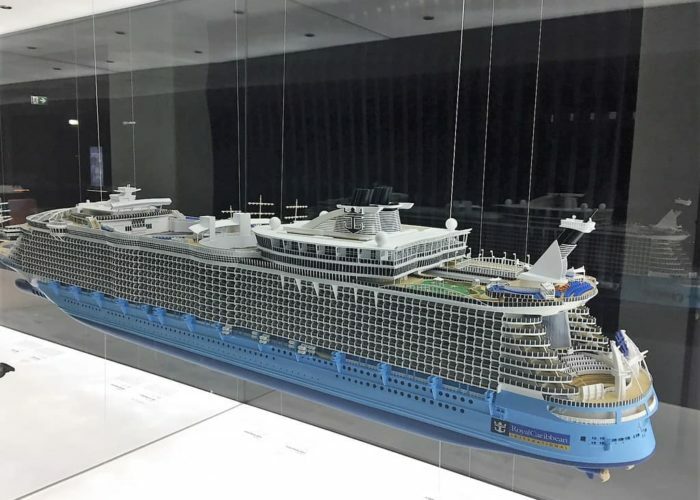 Cruises on the Oder are very popular and you can select cruises of different length and with different kind of carriers – from motorboats and catamarans to bigger sightseeing boats. 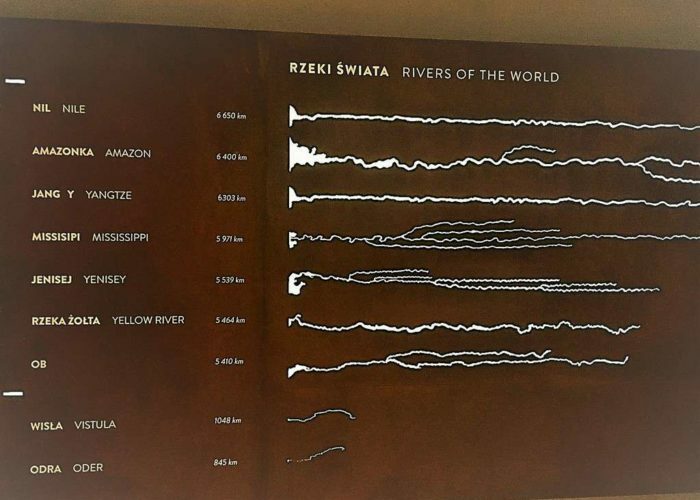 Most of them depart from Przystań Kardynalska (a landing place on Wyspa Piasek / Piasek Island, Bulwar Włostowica) and Przystań Zwierzyniecka (Wróblewskiego 1 Street). 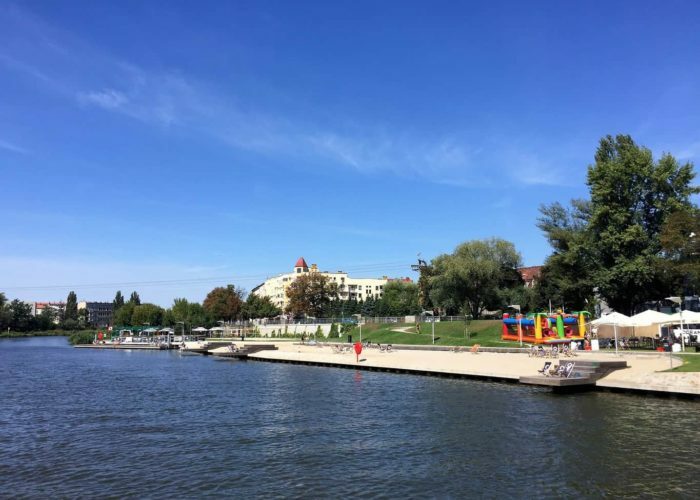 Another option is to rent a kayak (at Zatoka Gondoli, Purkyniego 9 Street) or a pedal boat (at Przystań Zwierzyniecka). To take a breather and chill out after sightseeing, you can relax in Park Staromiejski. 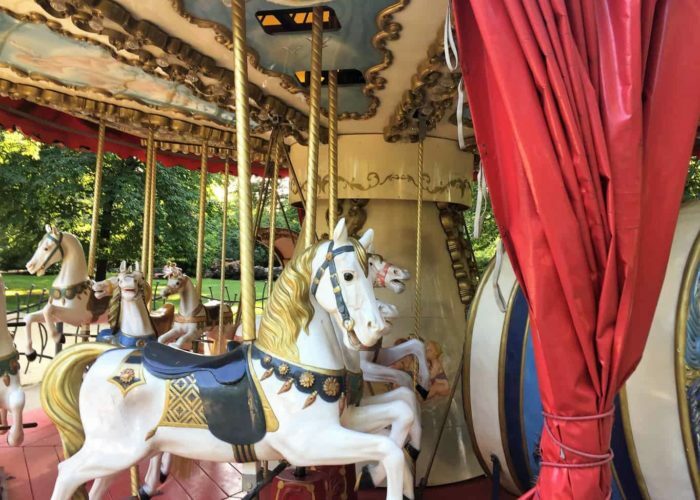 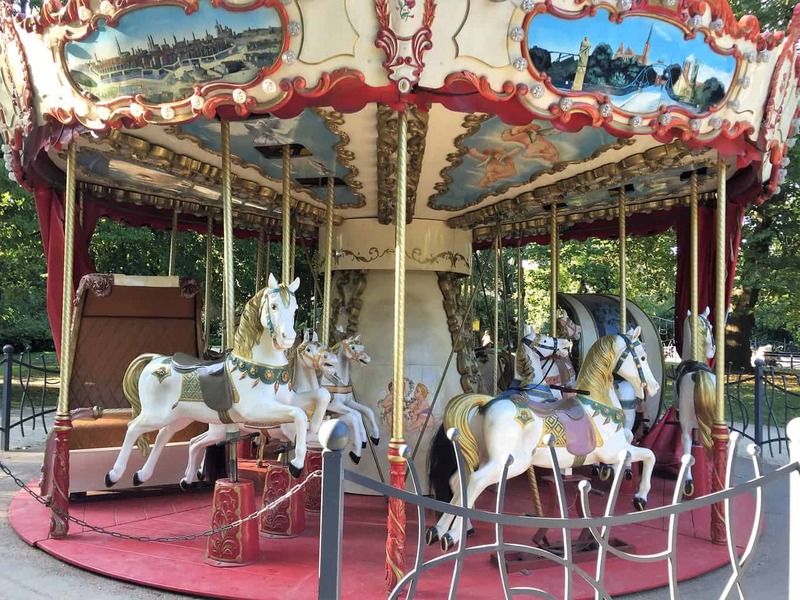 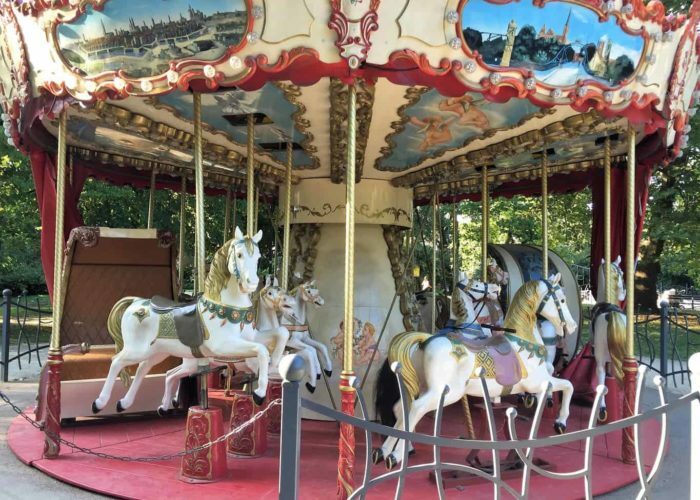 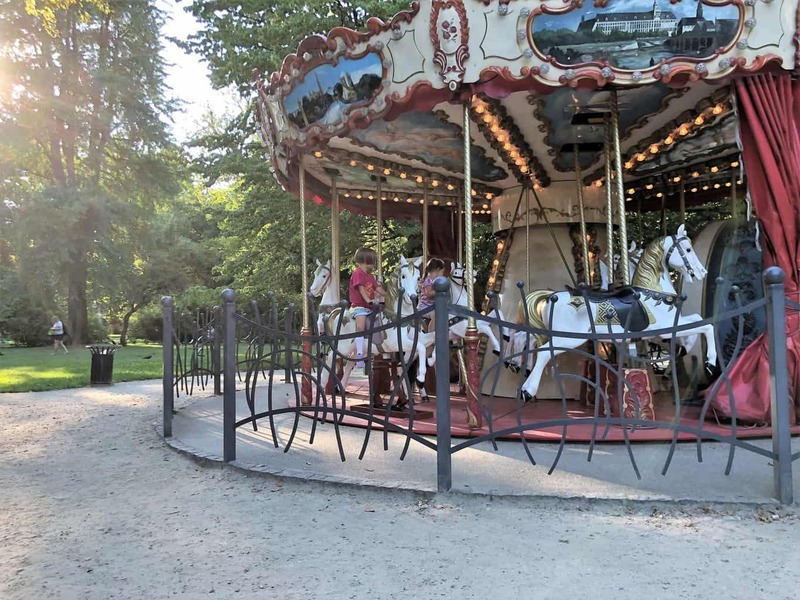 If you have children, they can unwind in the playground and have fun on a cute little carousel. 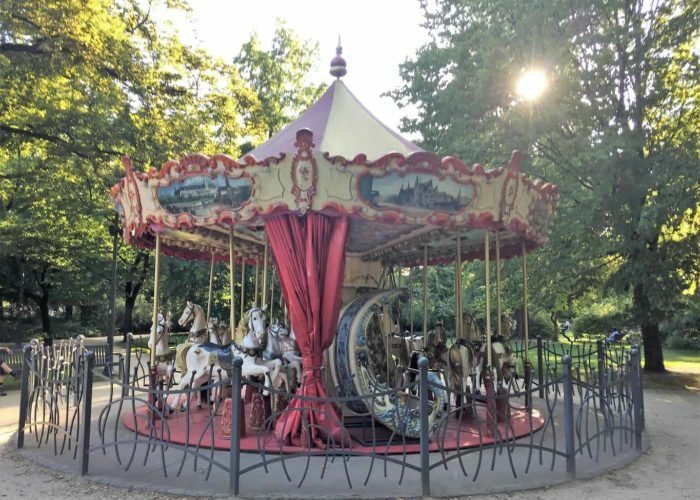 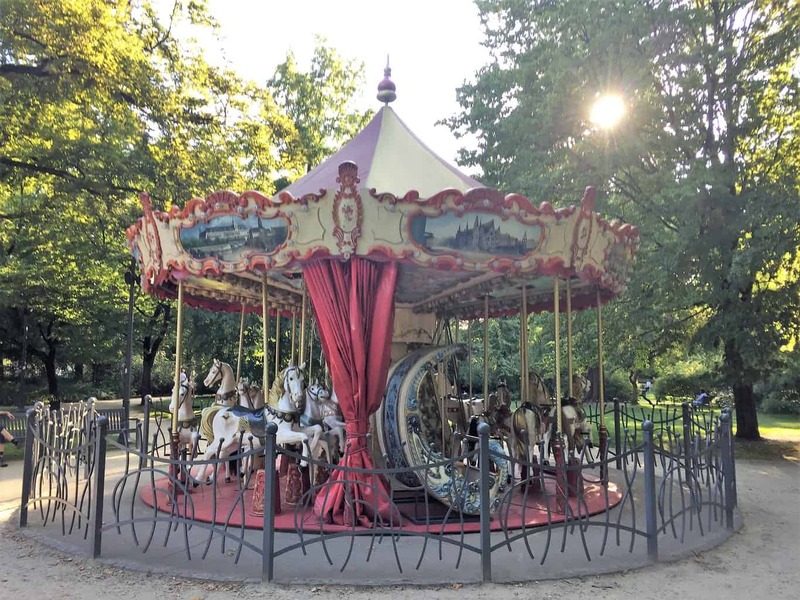 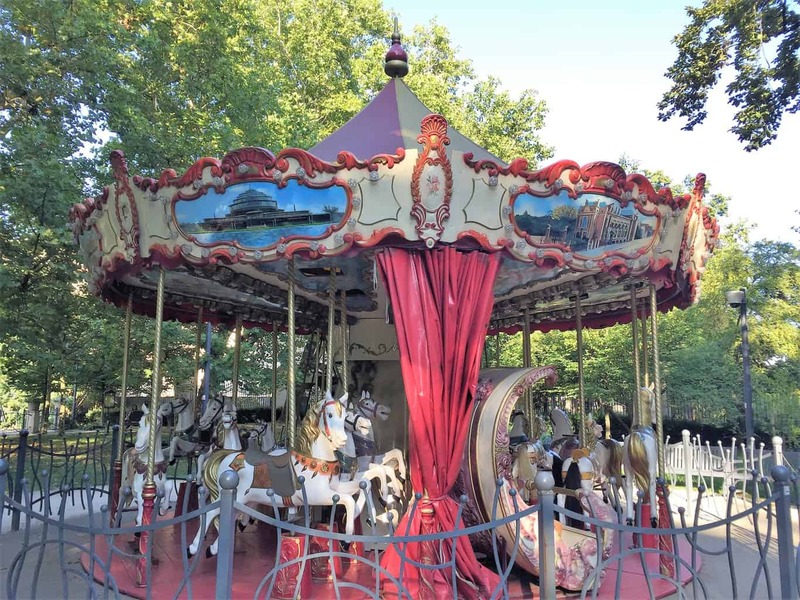 The carousel (2 PLN per ride) operates in good weather conditions: Monday – Friday 11 am – 6 pm, Saturday – Sunday 11 am – 7 pm.